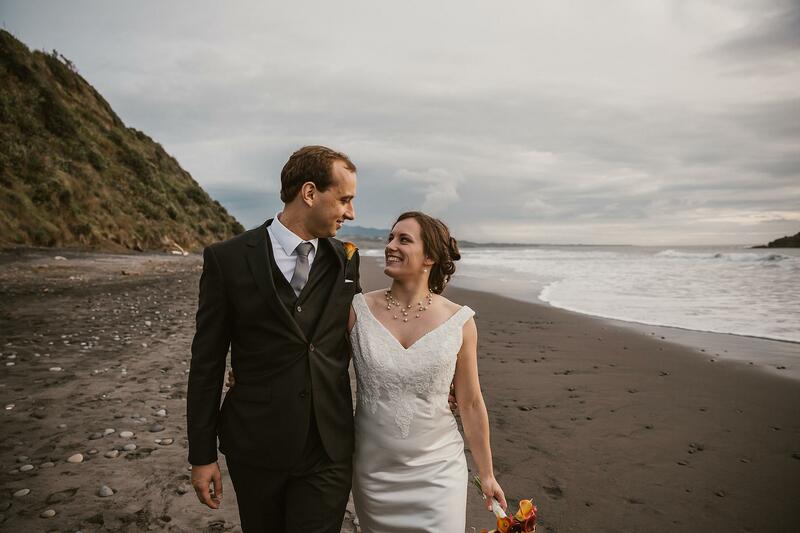 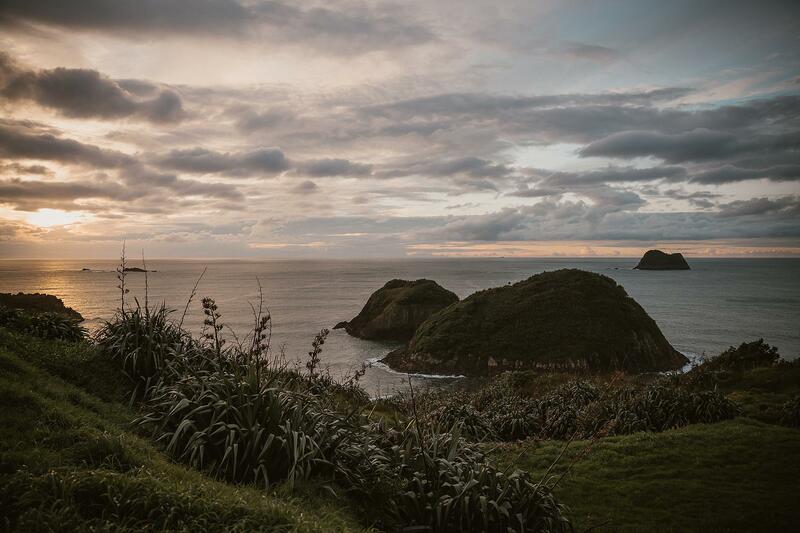 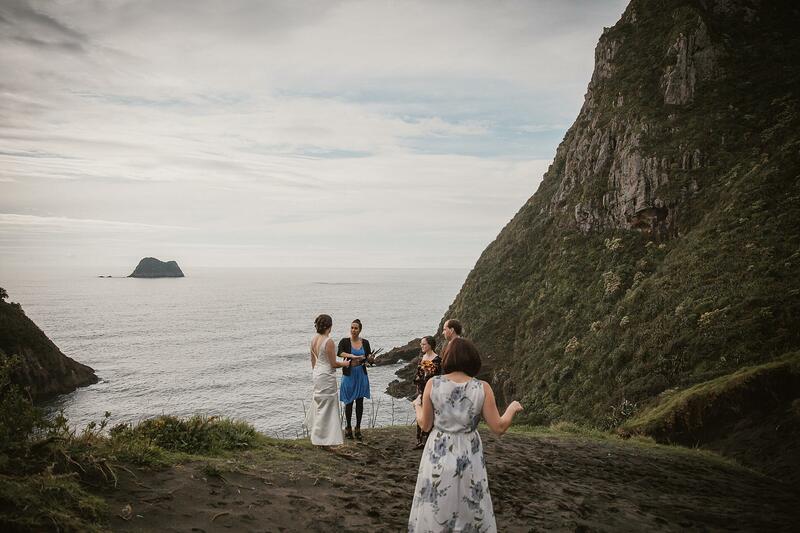 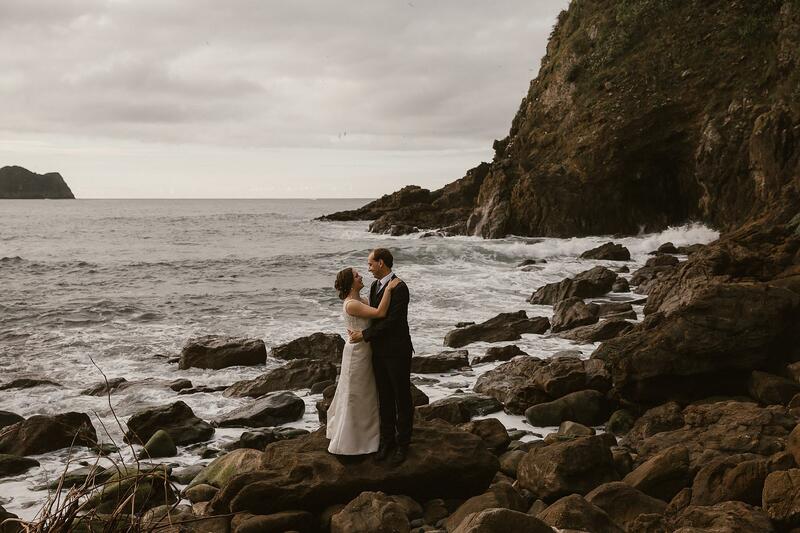 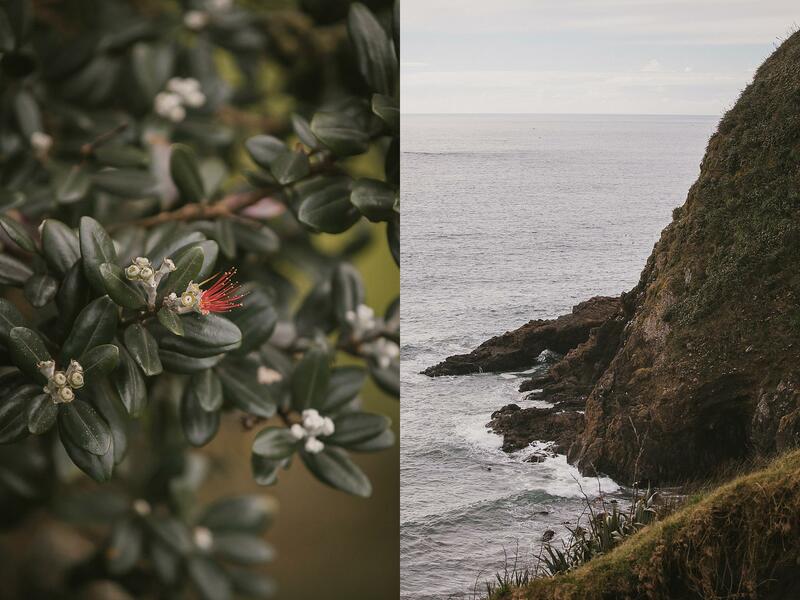 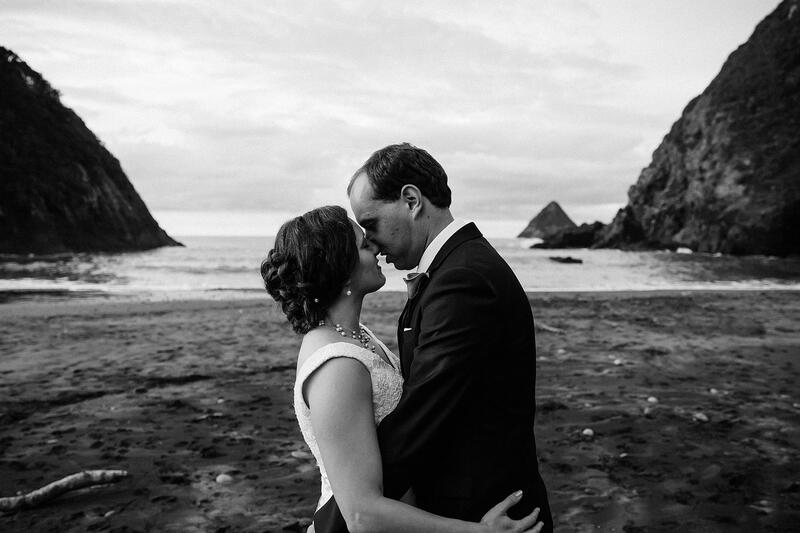 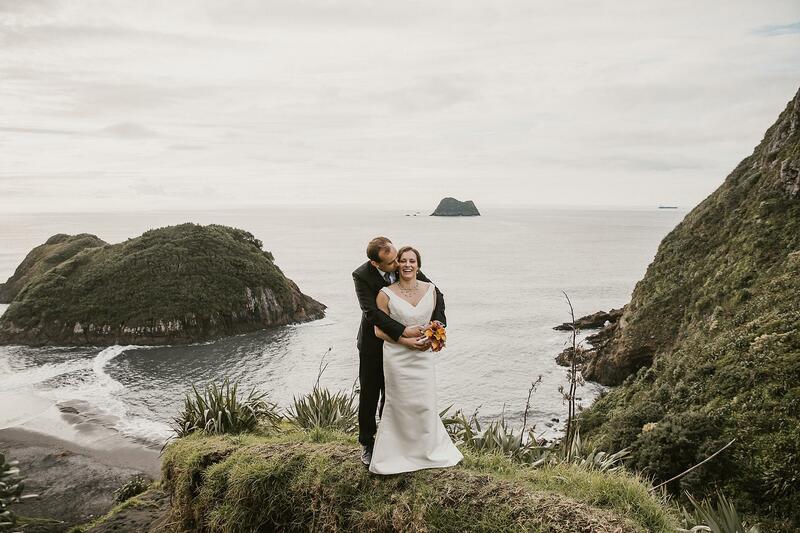 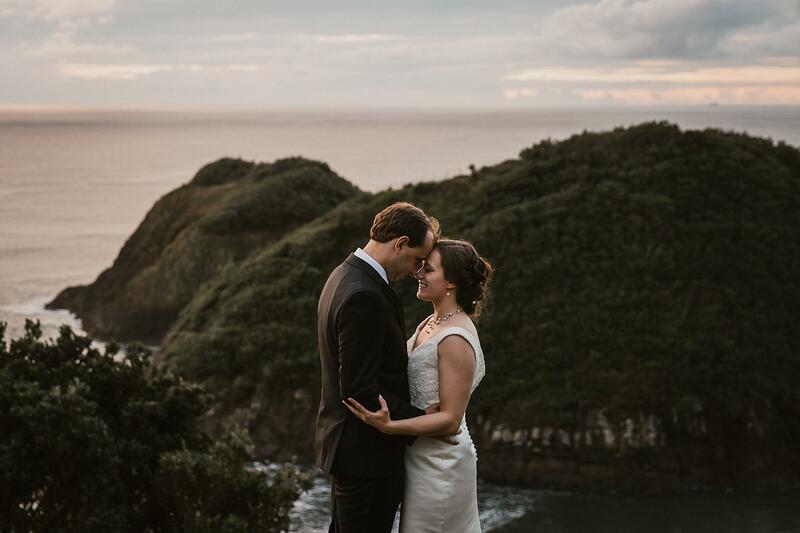 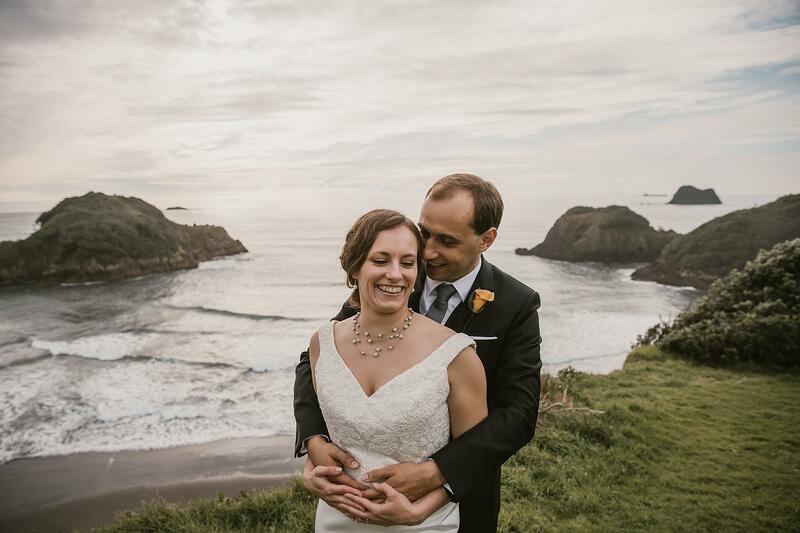 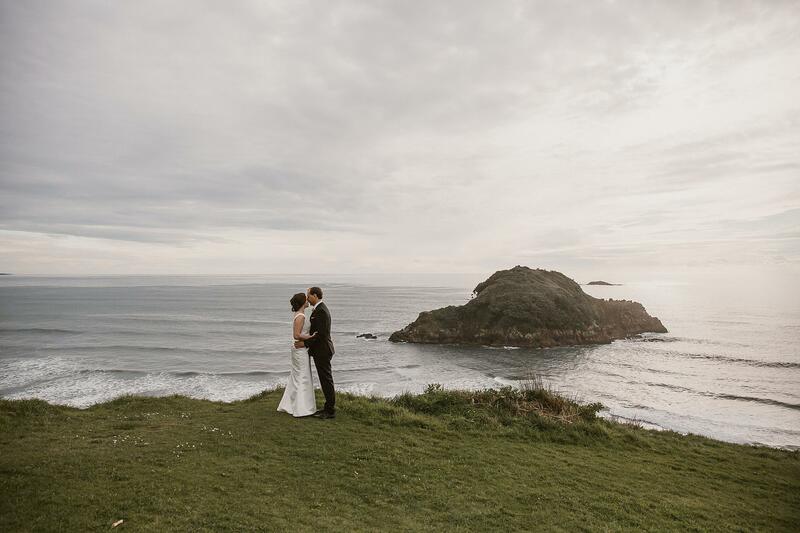 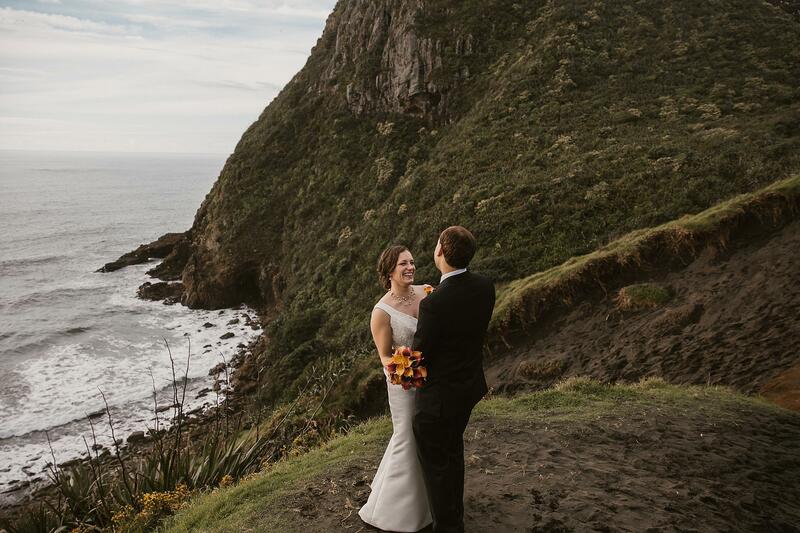 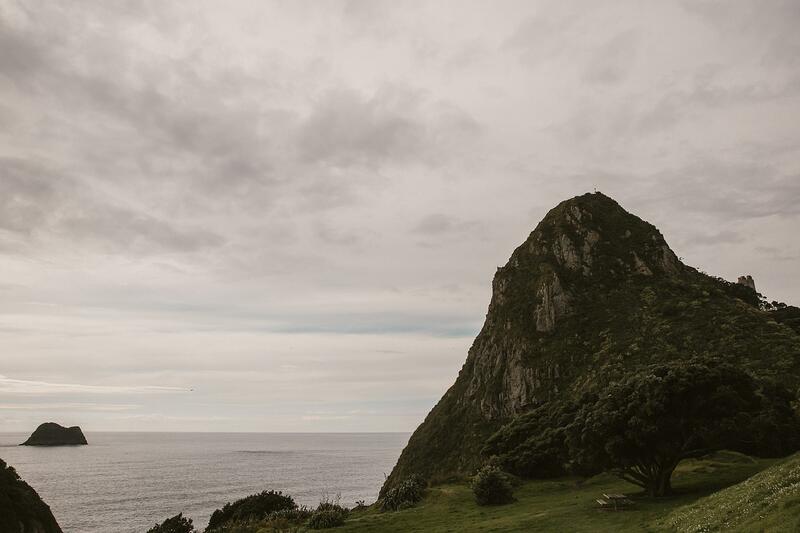 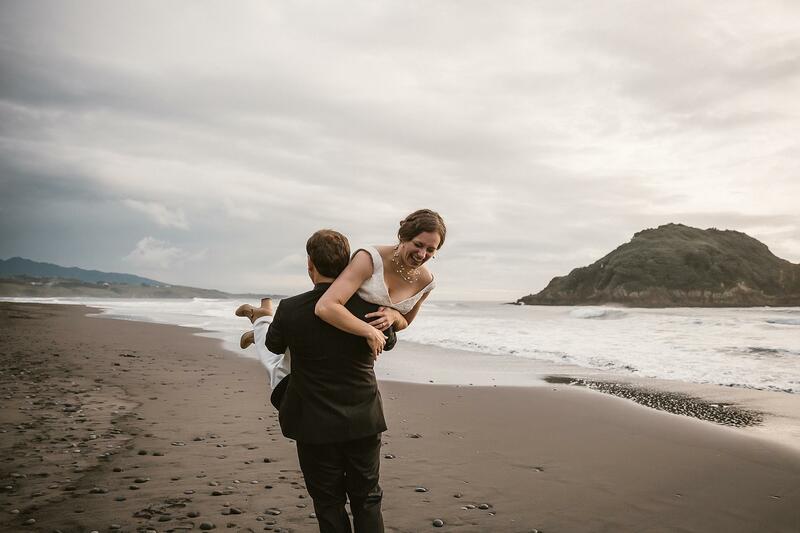 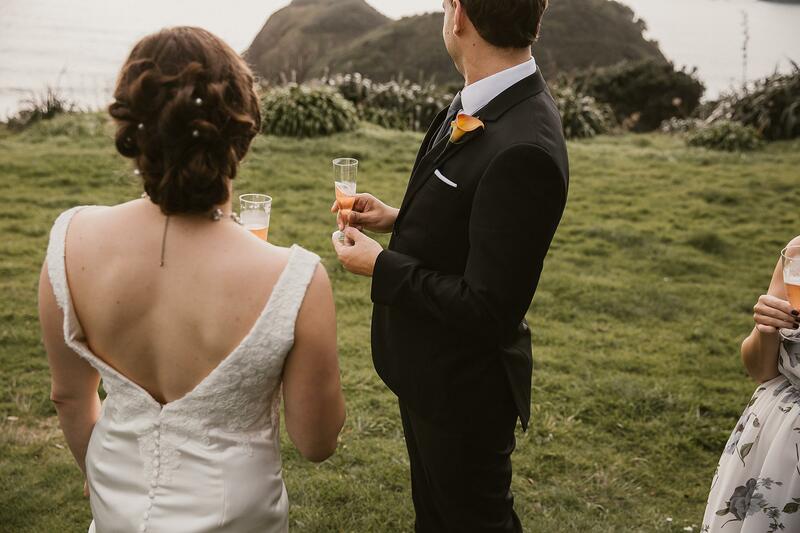 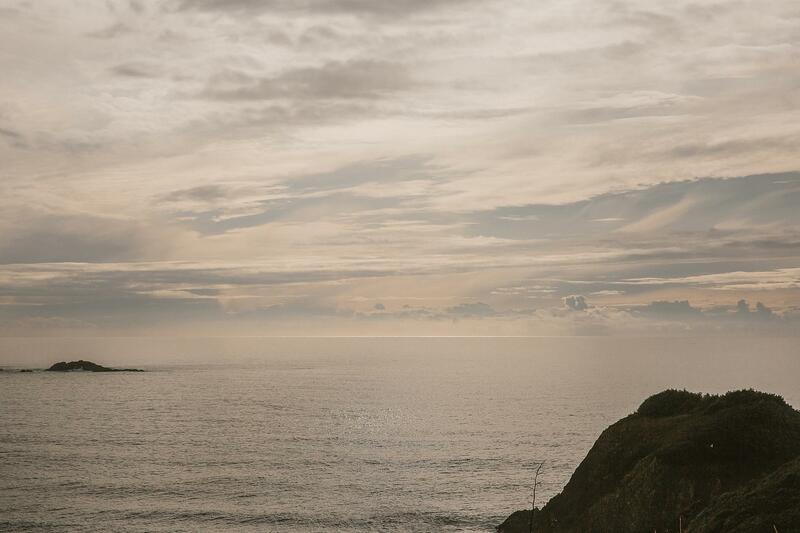 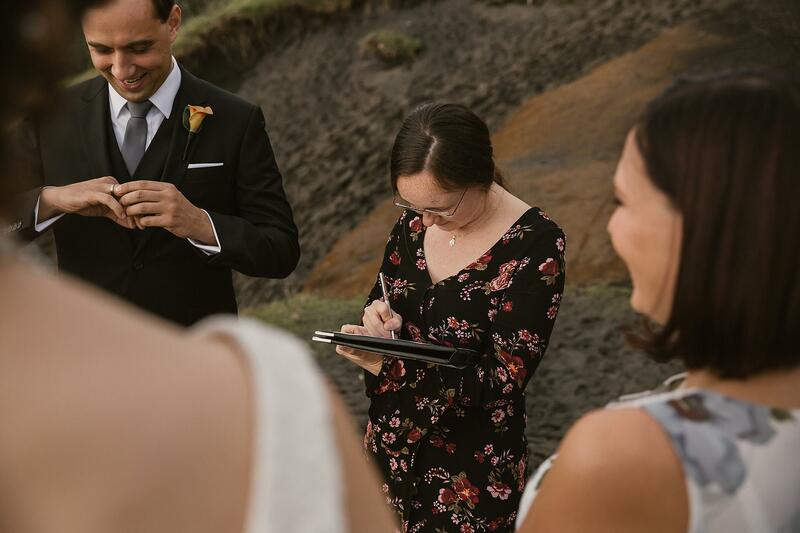 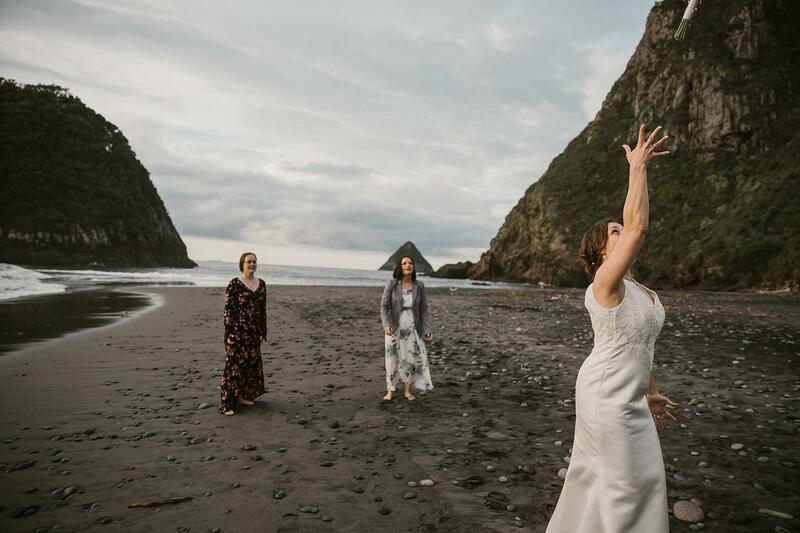 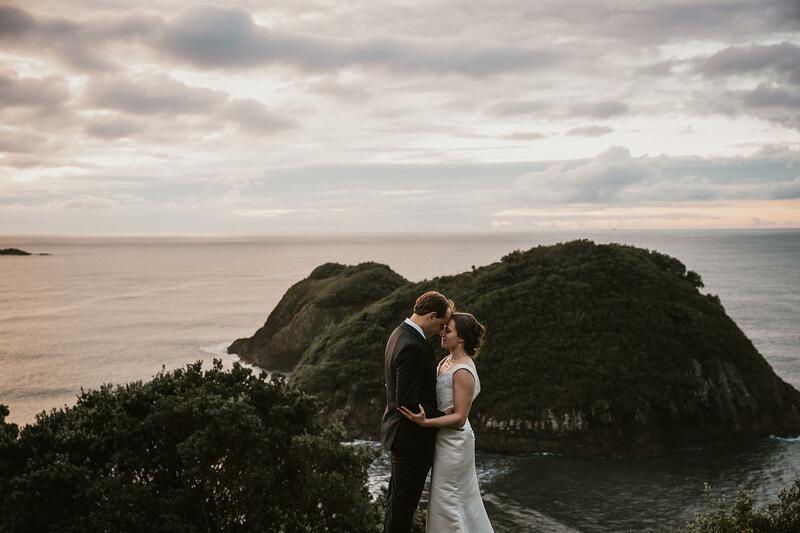 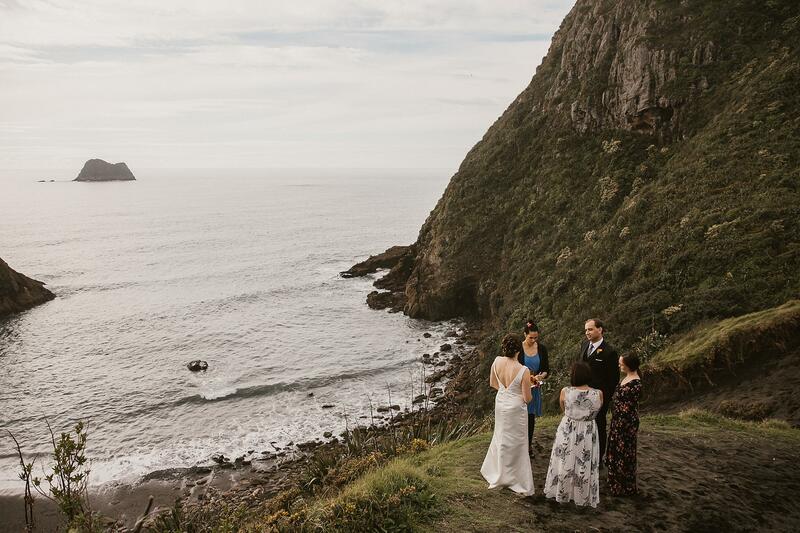 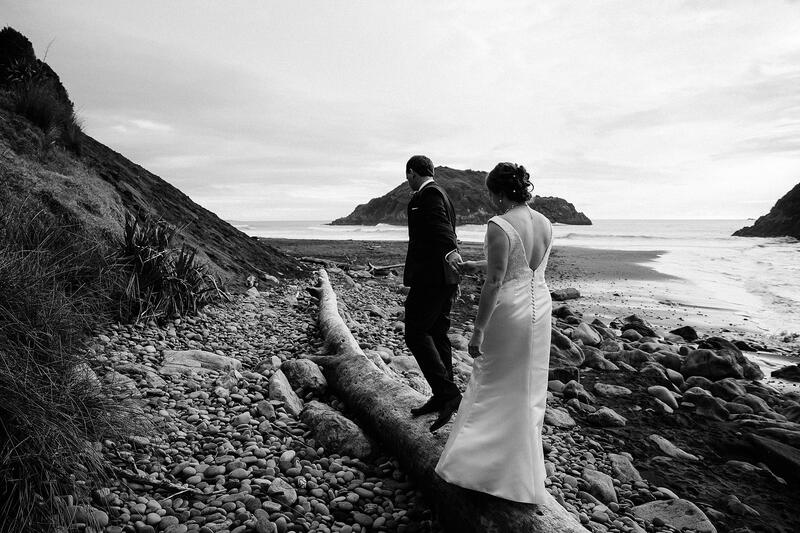 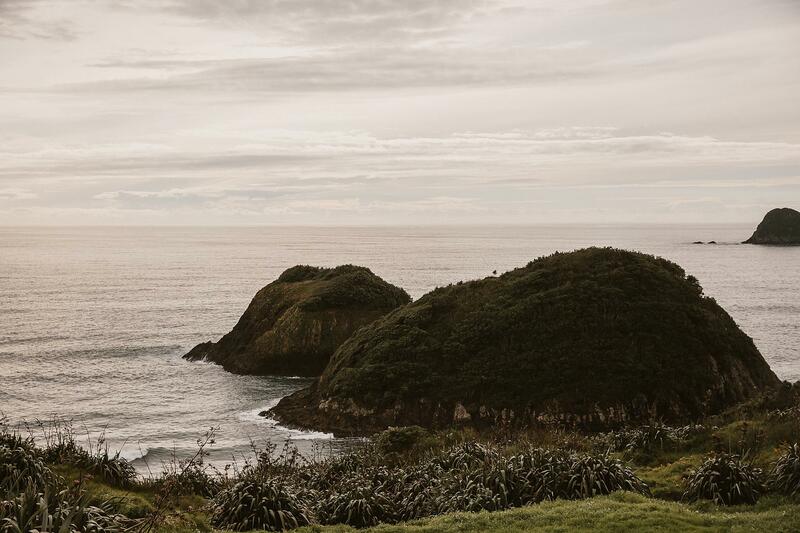 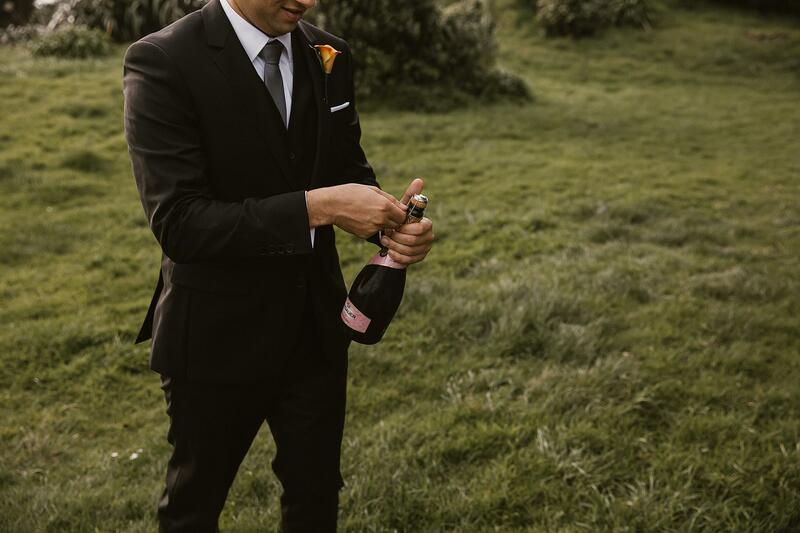 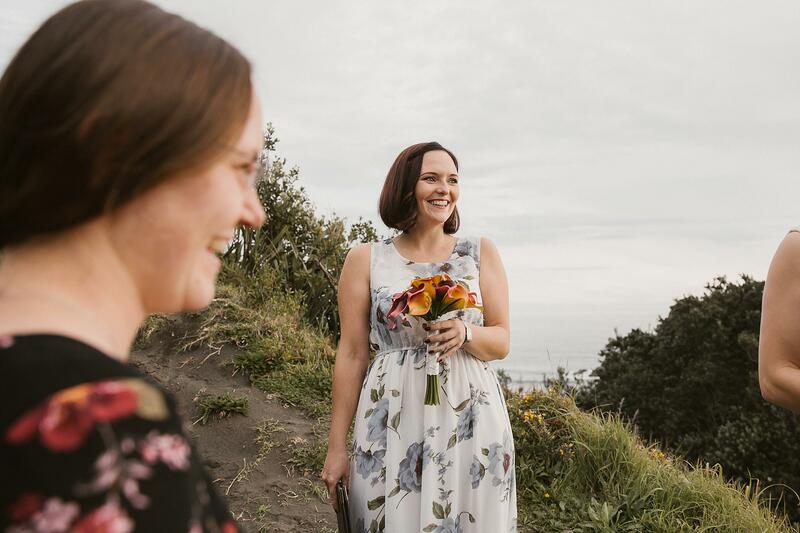 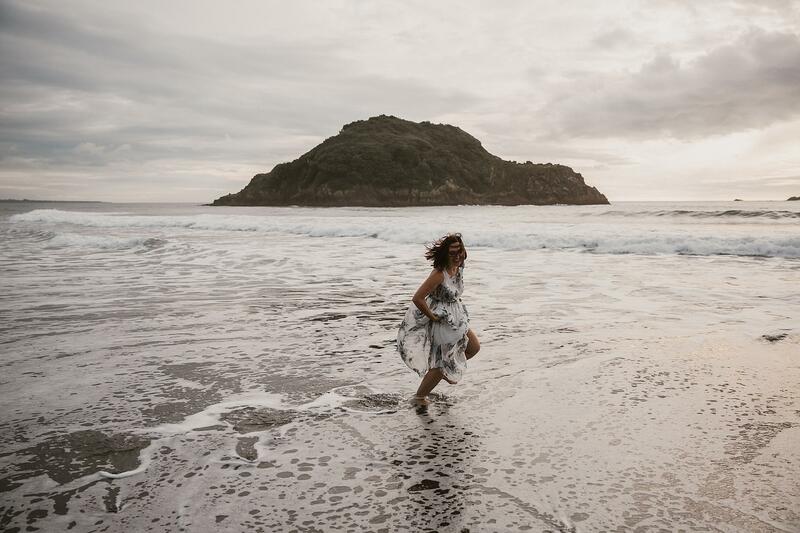 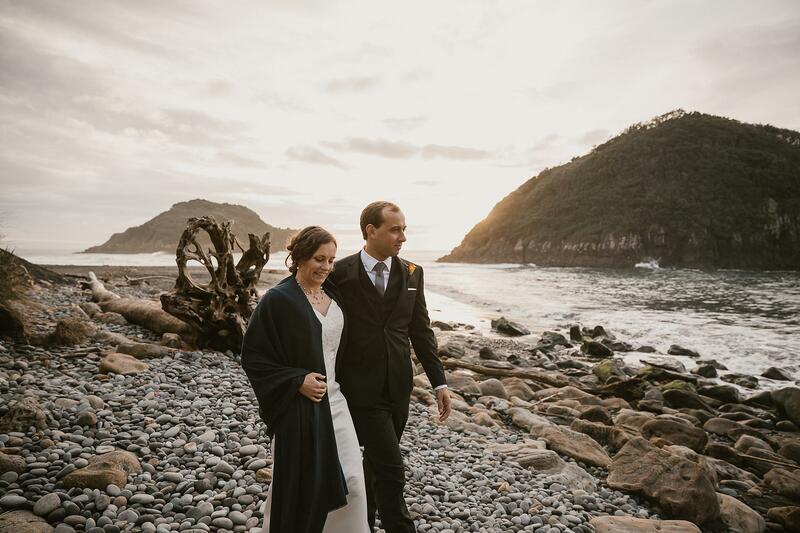 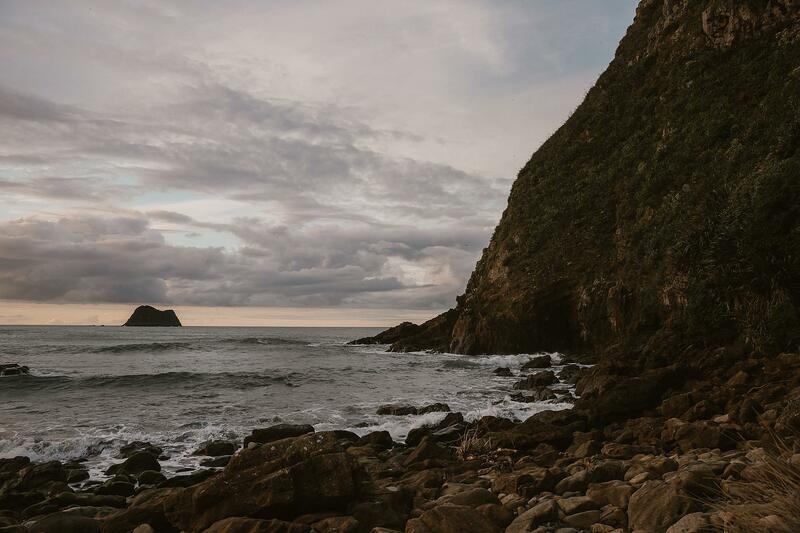 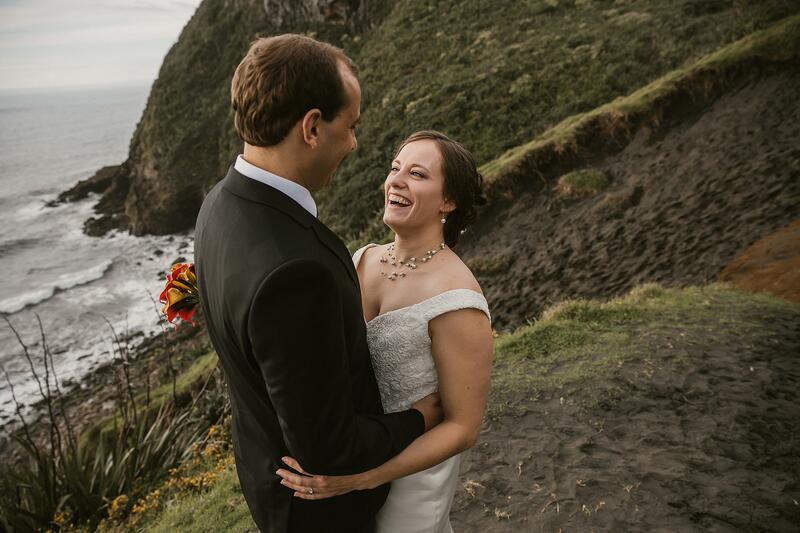 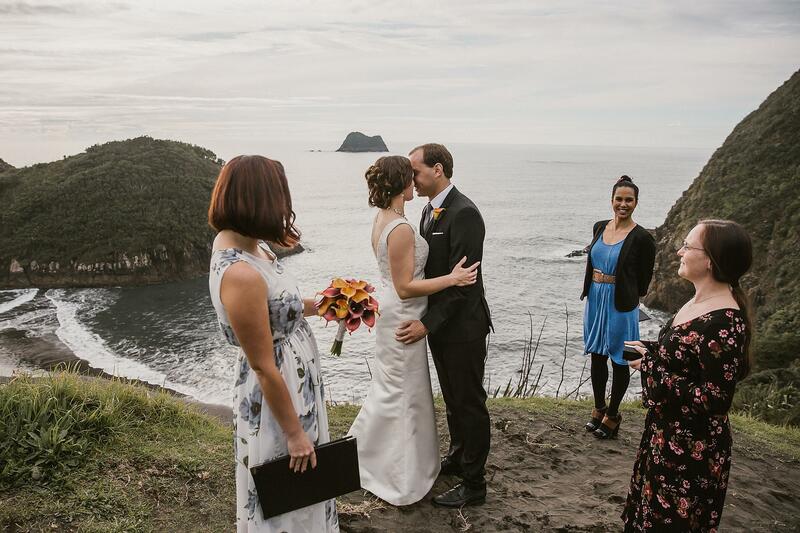 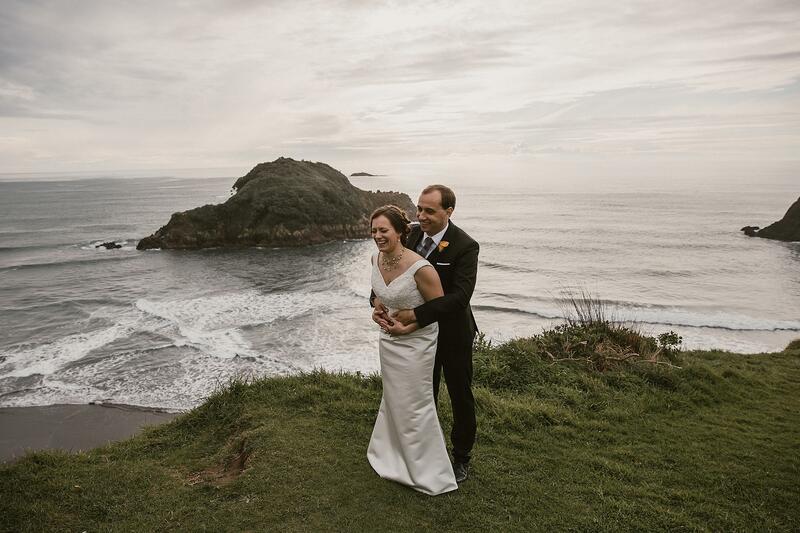 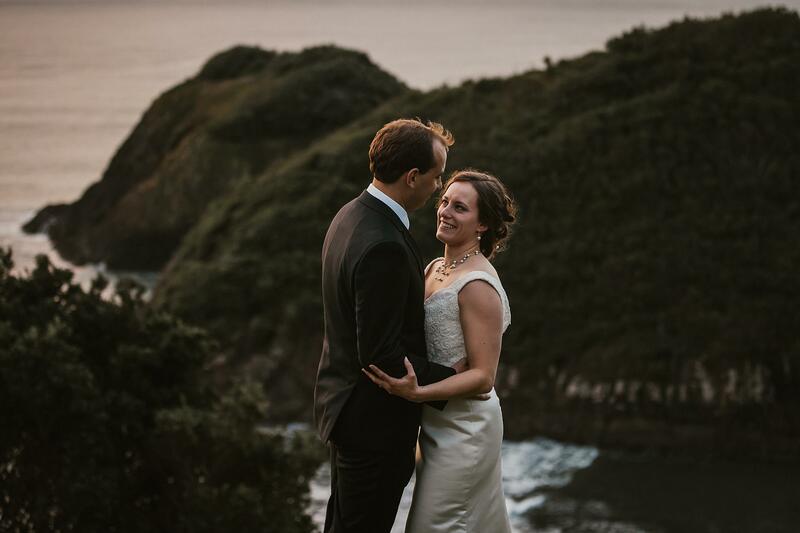 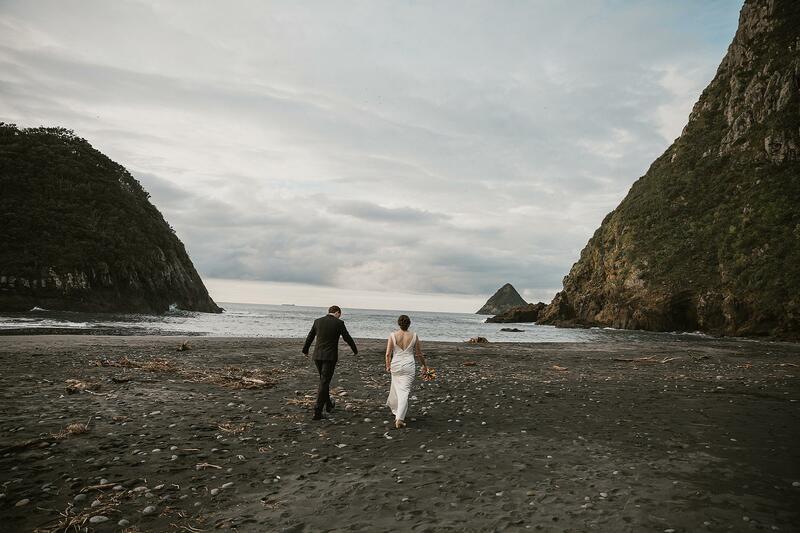 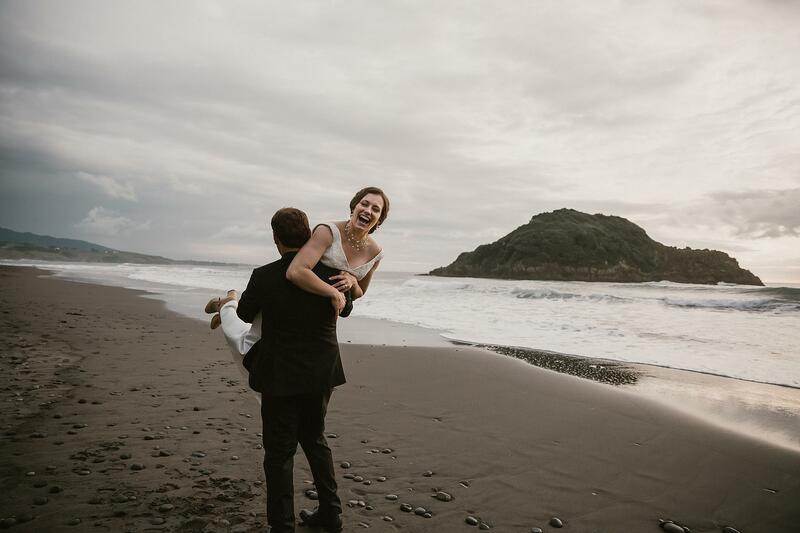 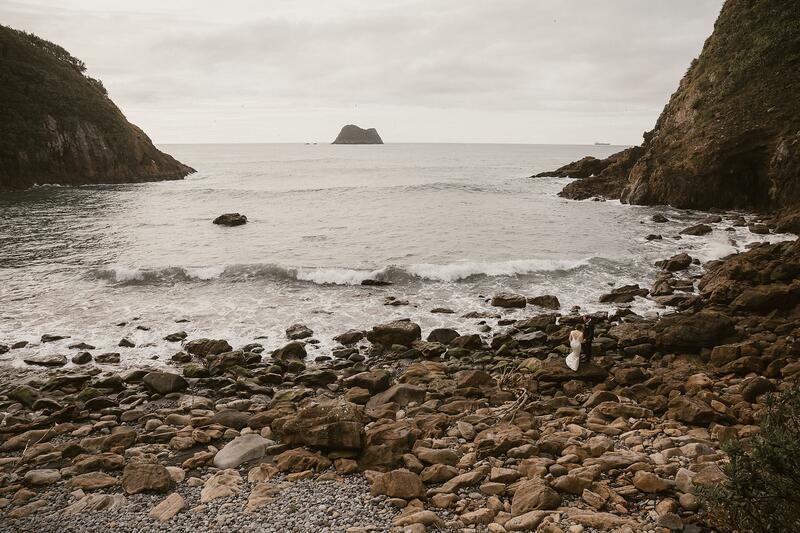 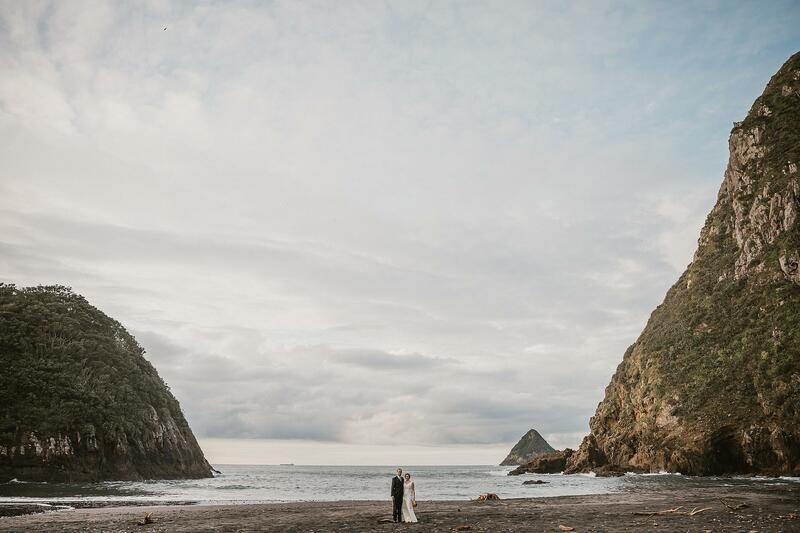 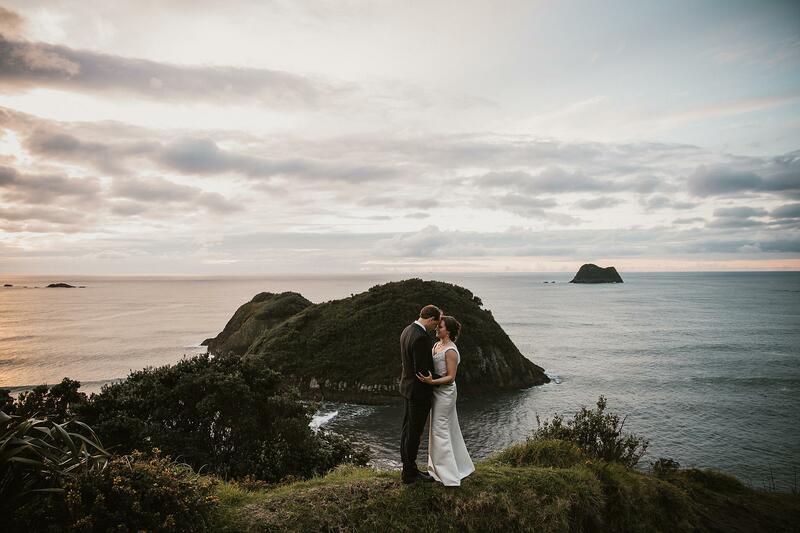 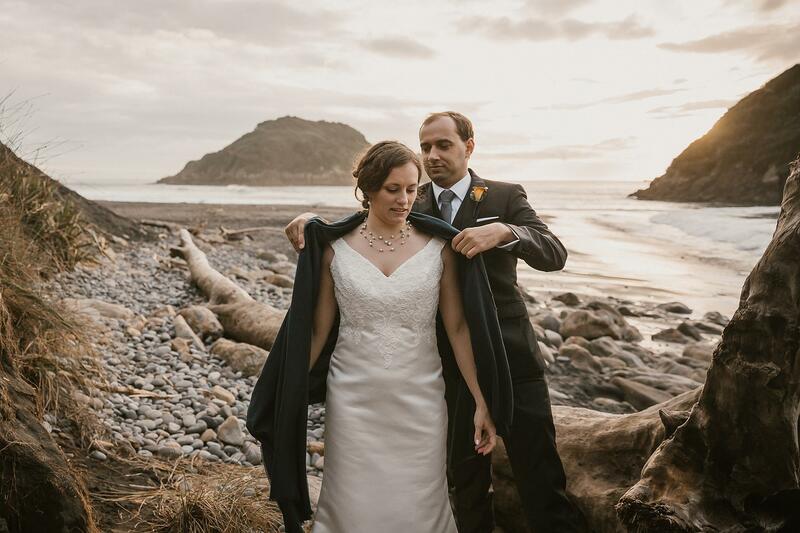 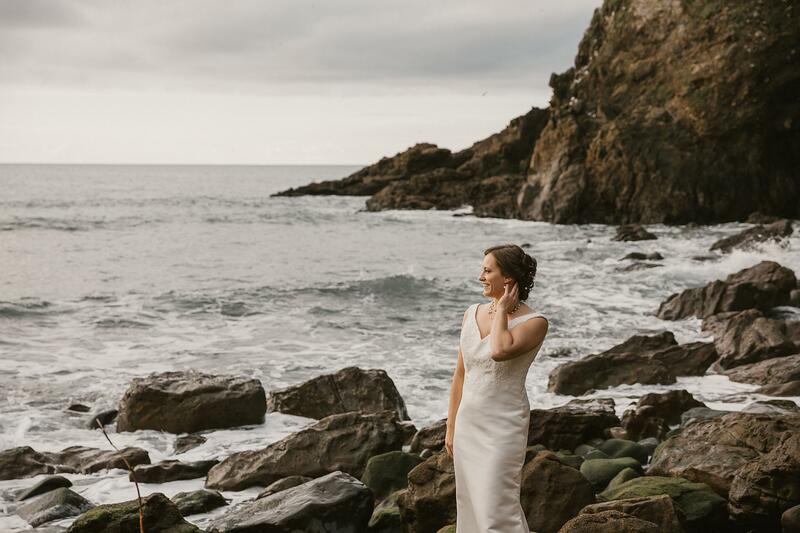 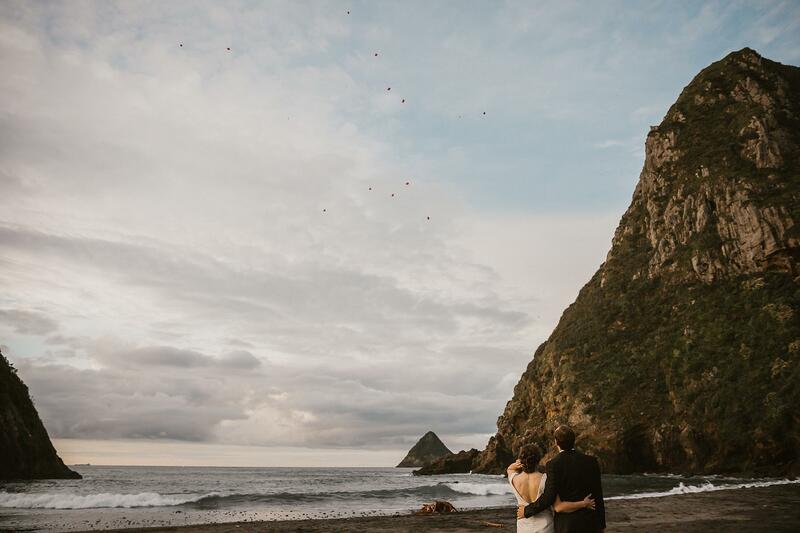 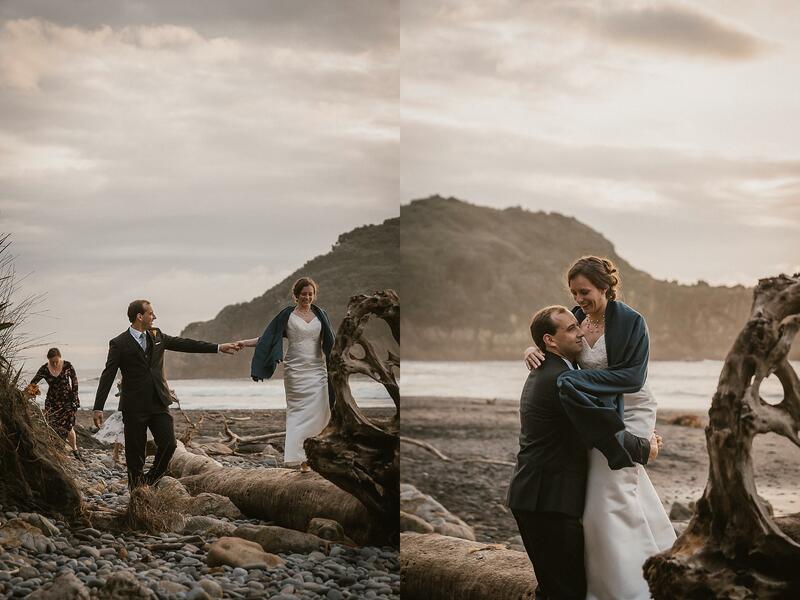 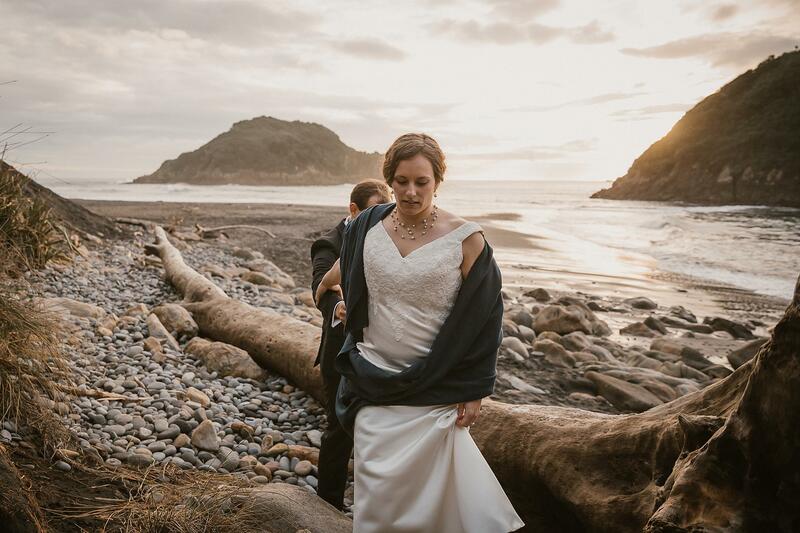 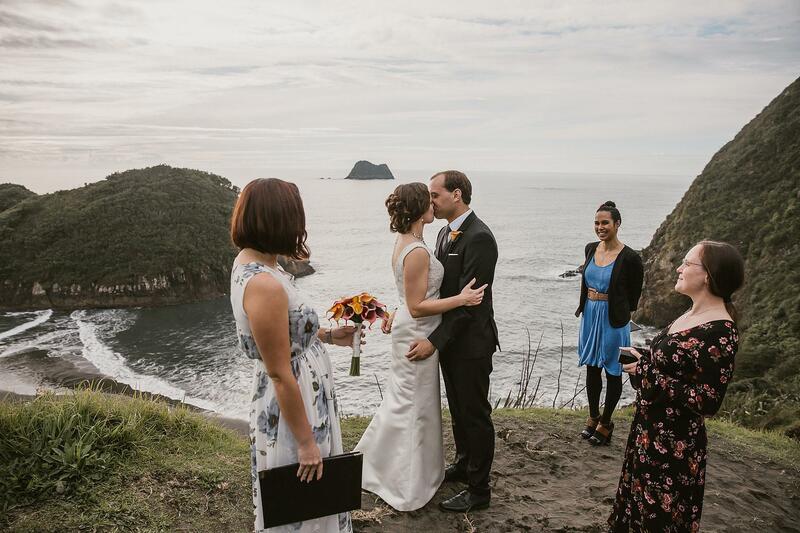 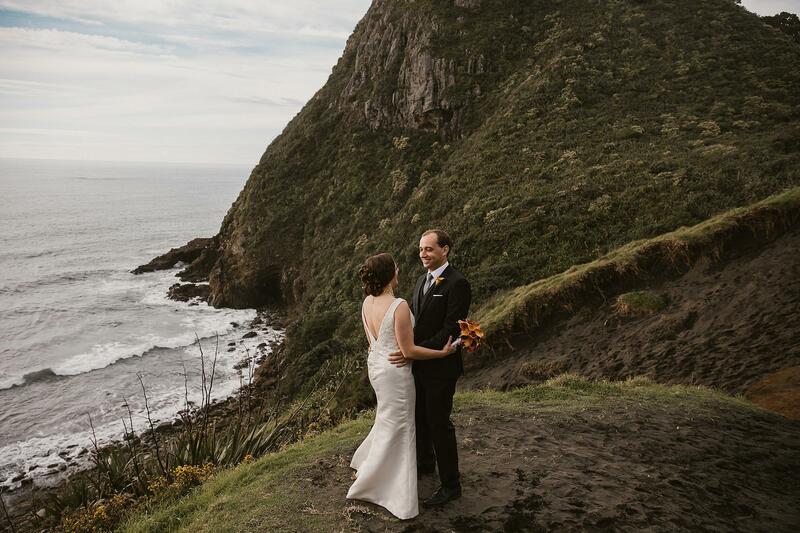 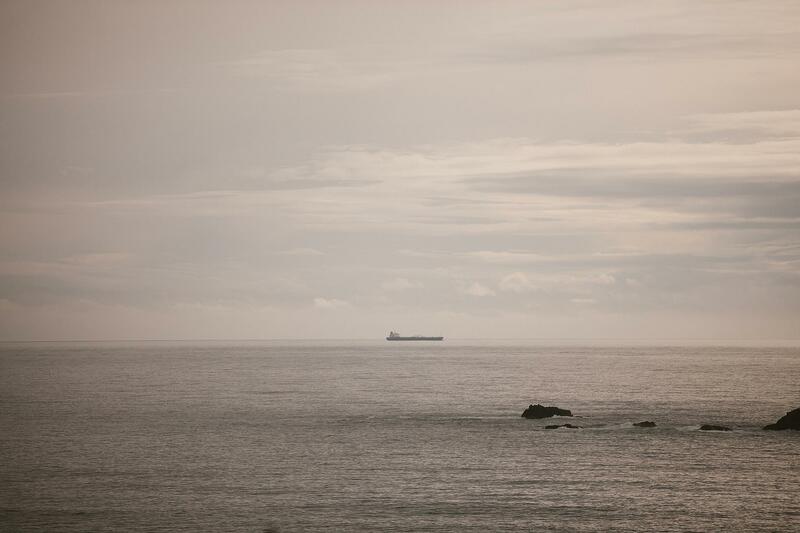 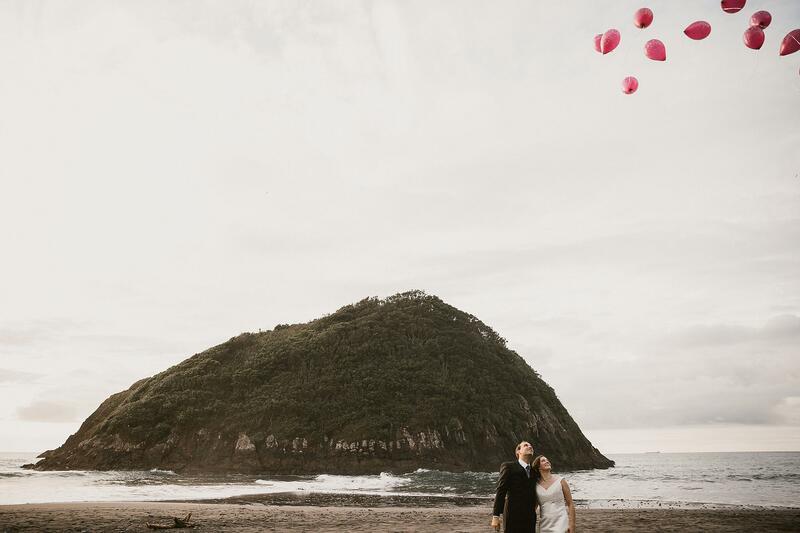 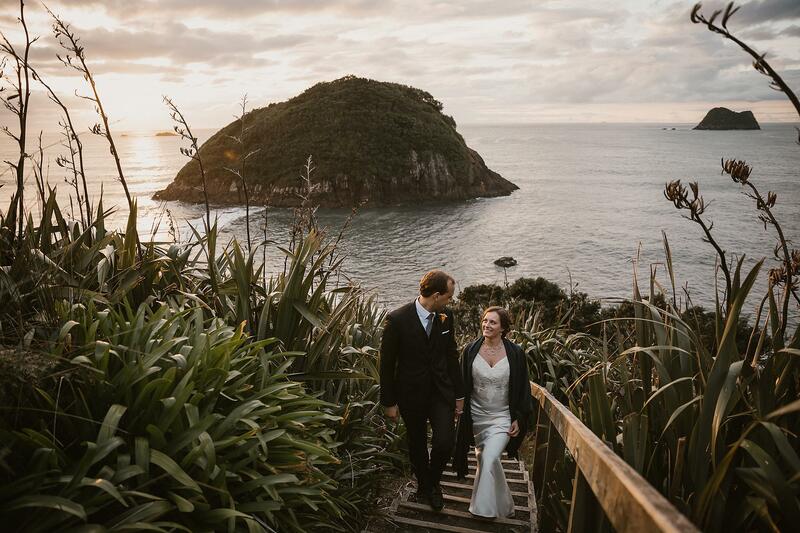 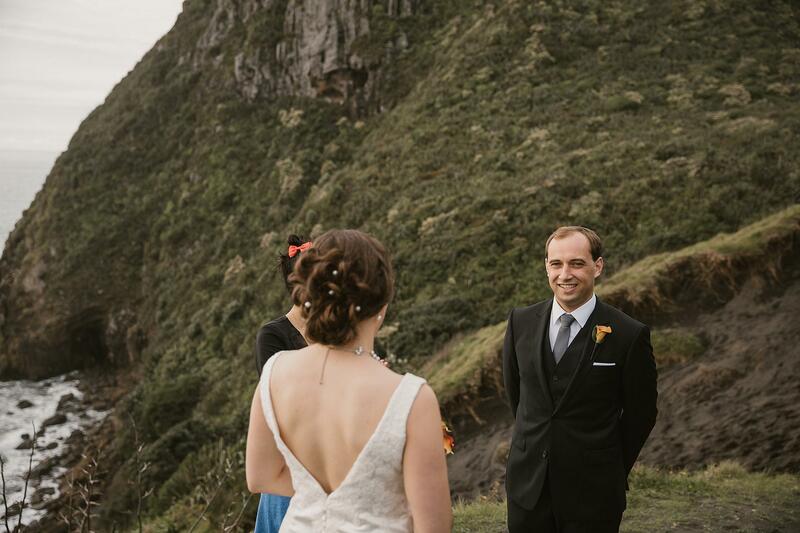 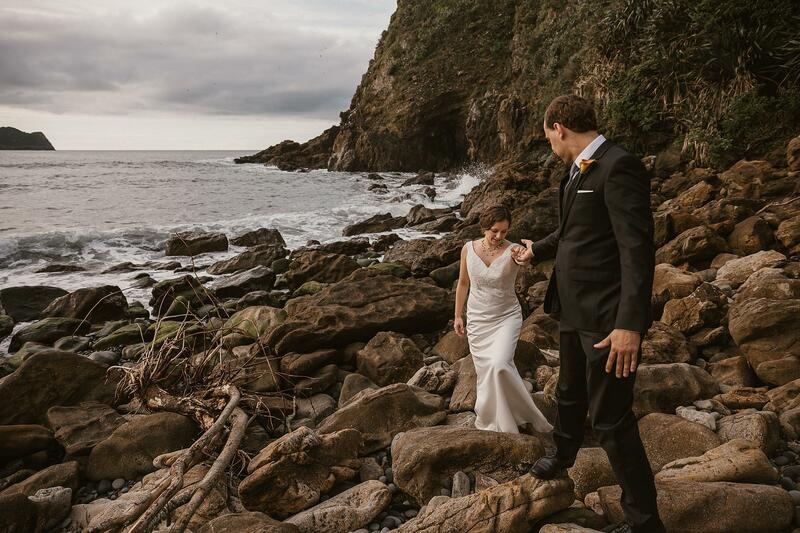 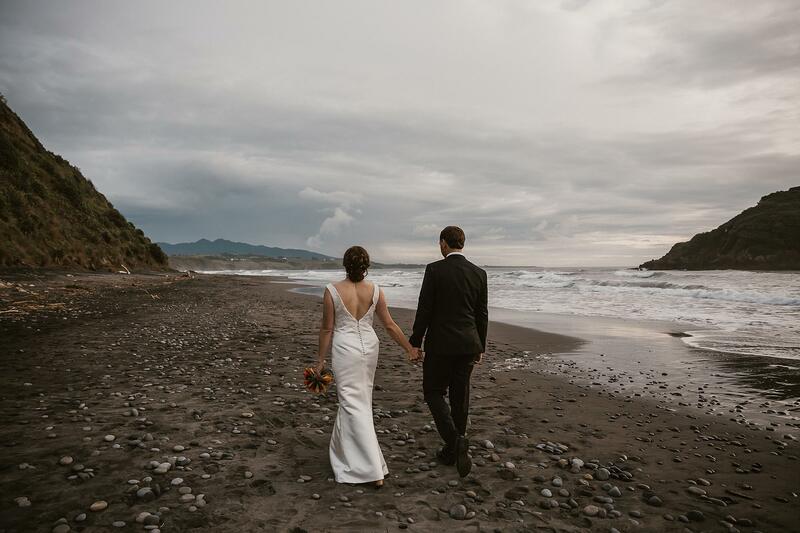 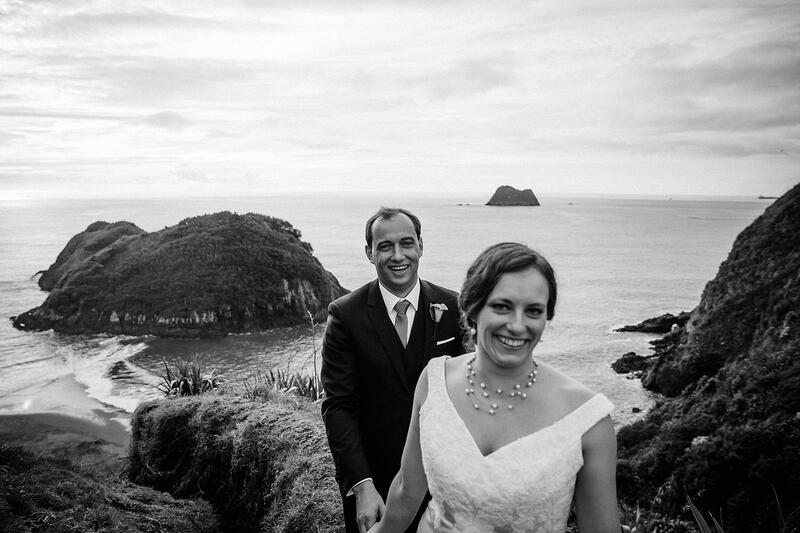 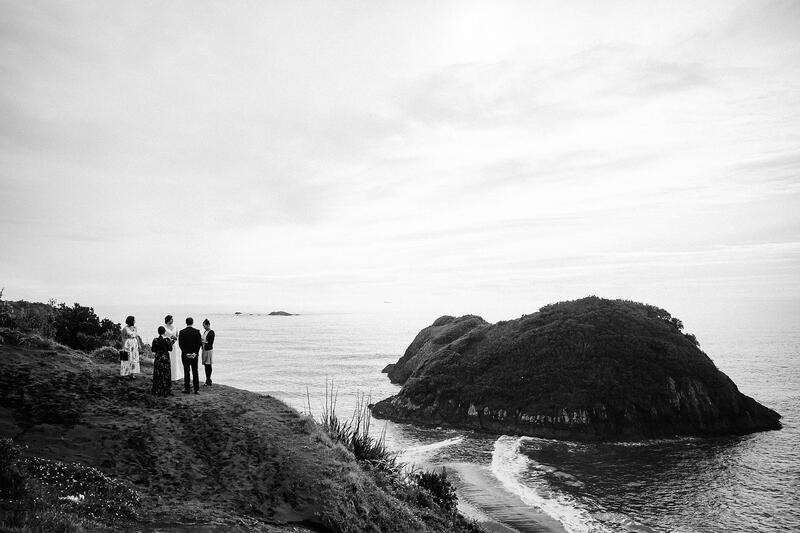 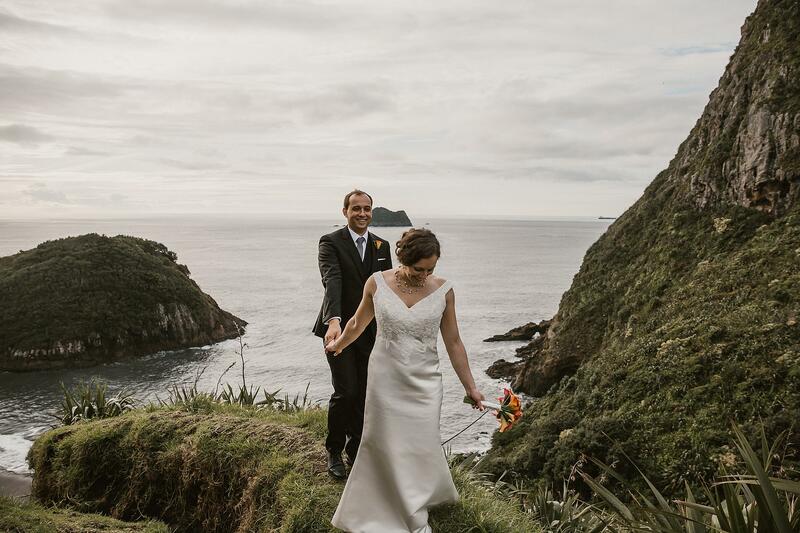 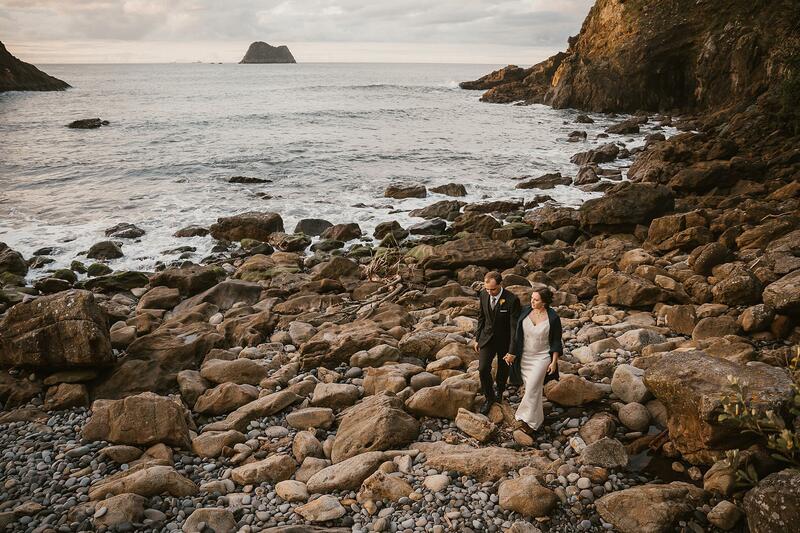 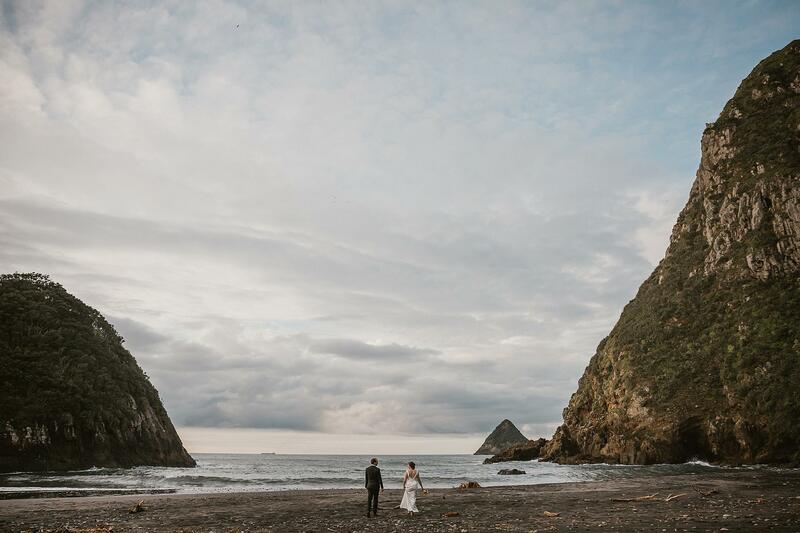 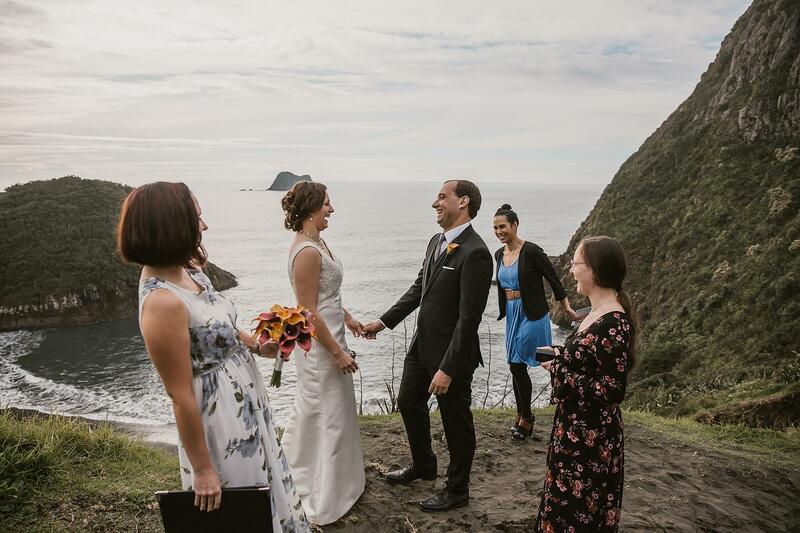 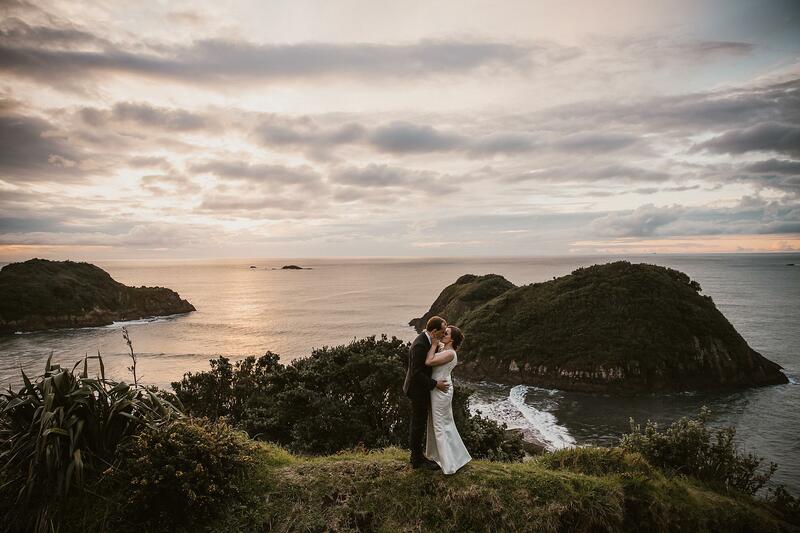 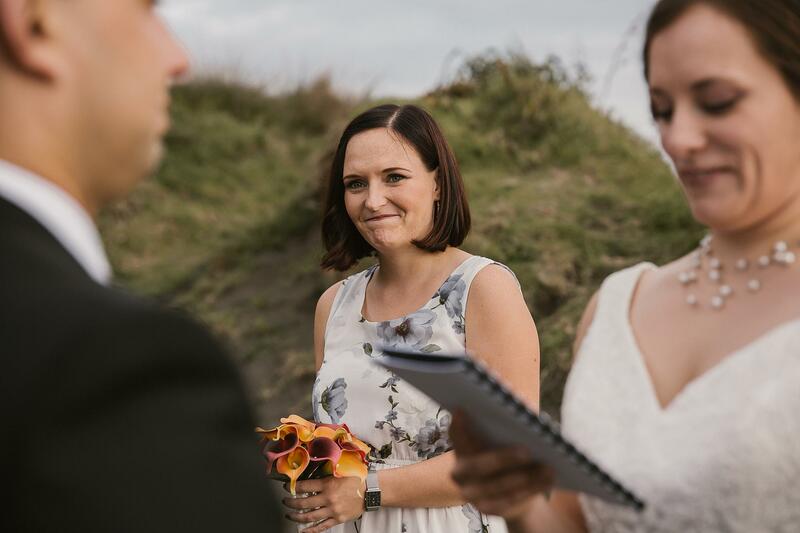 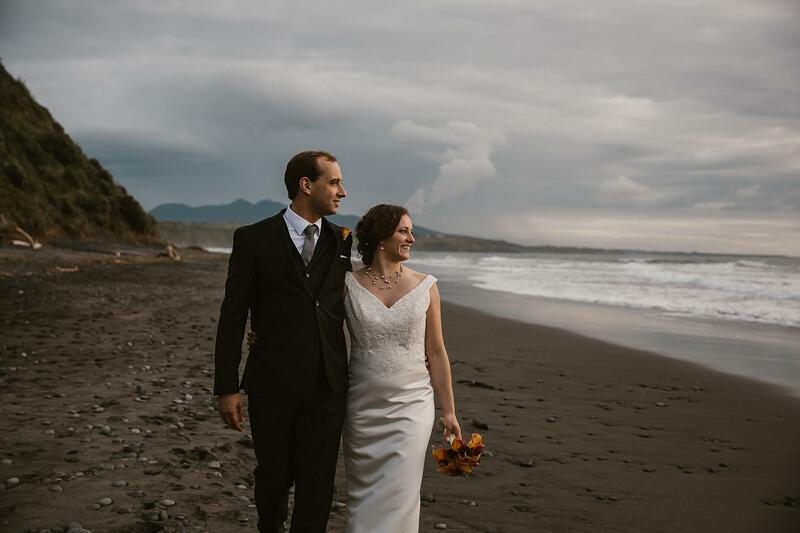 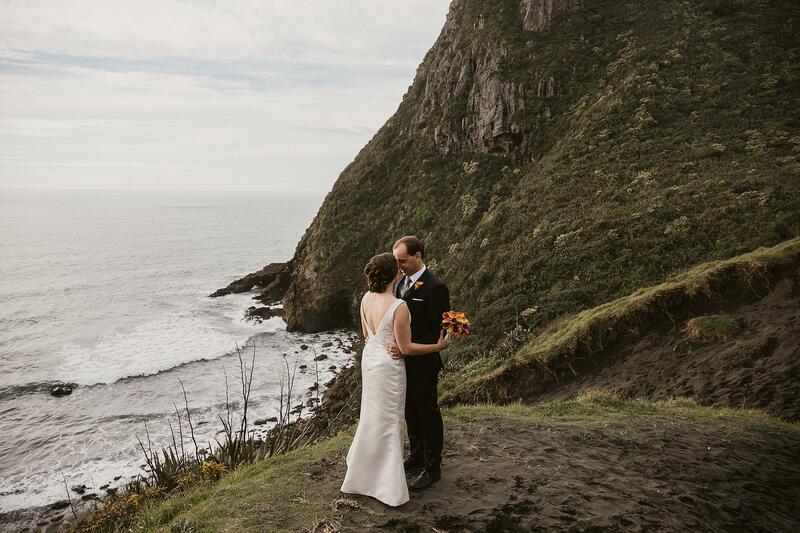 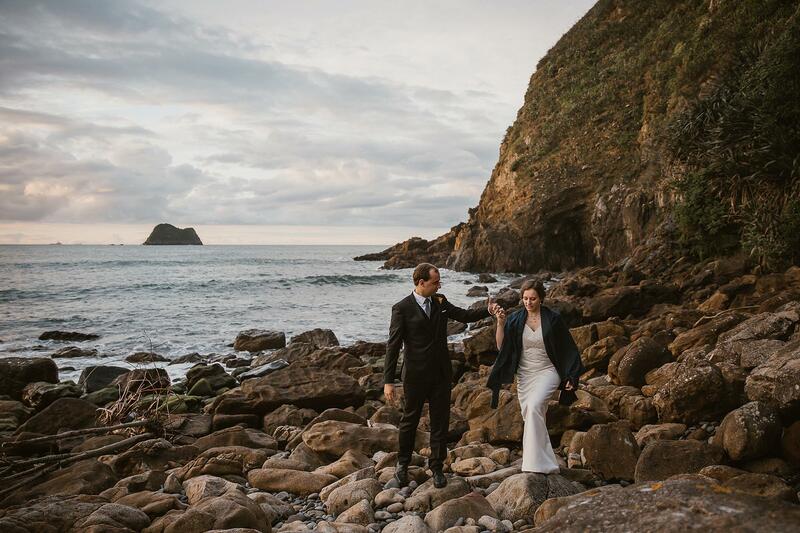 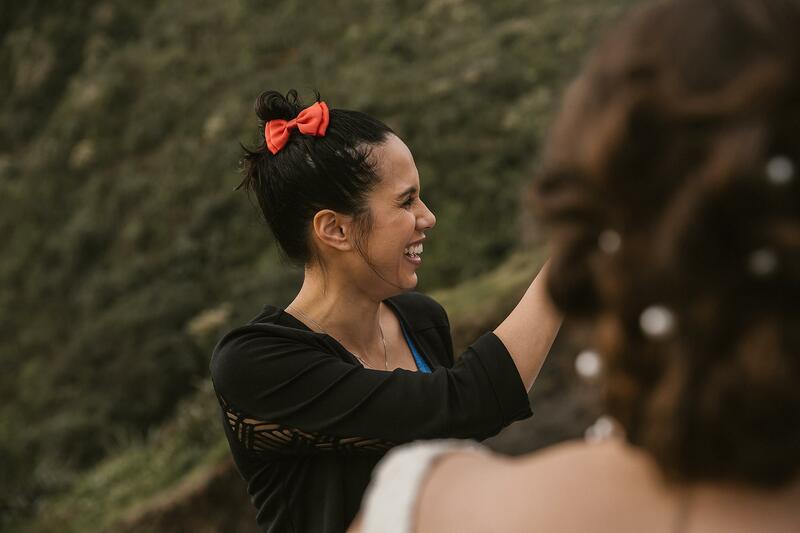 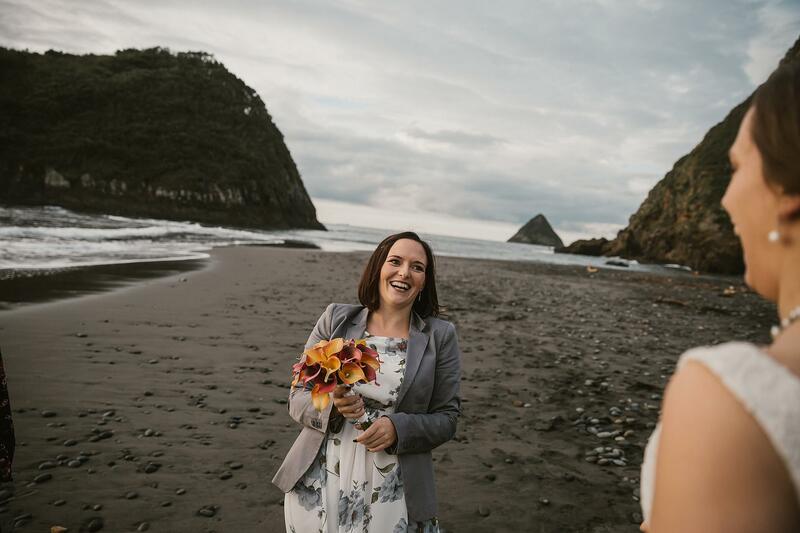 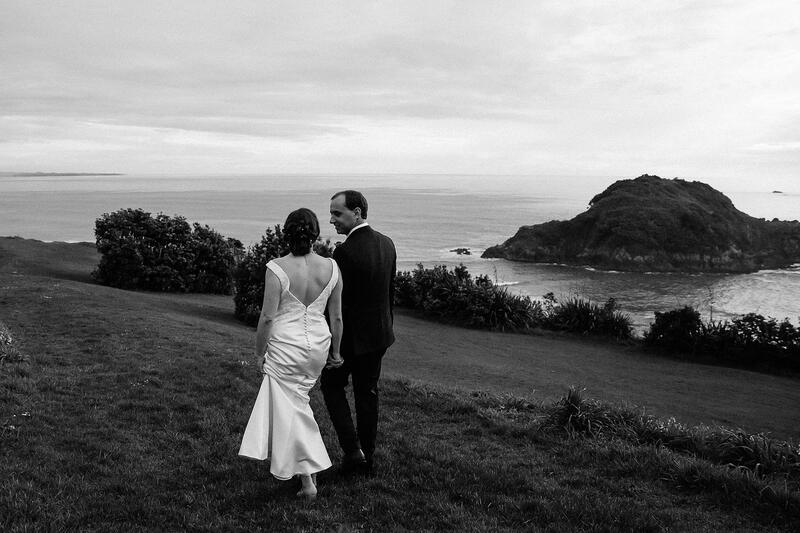 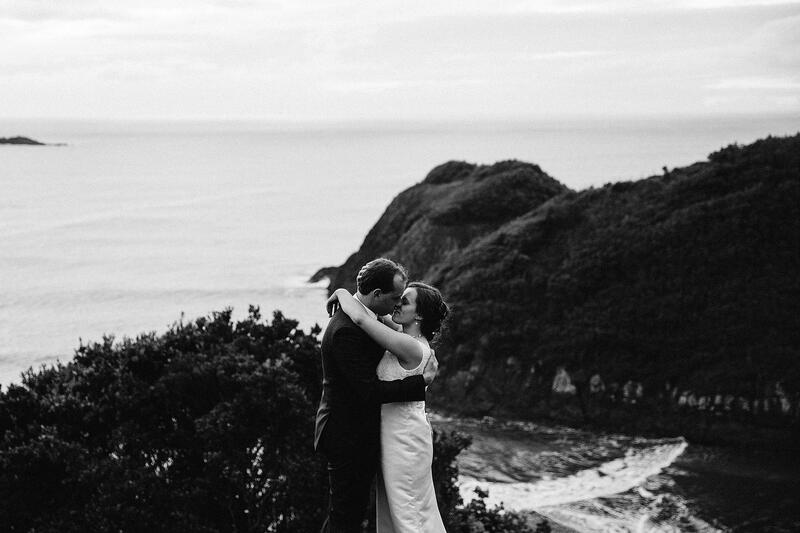 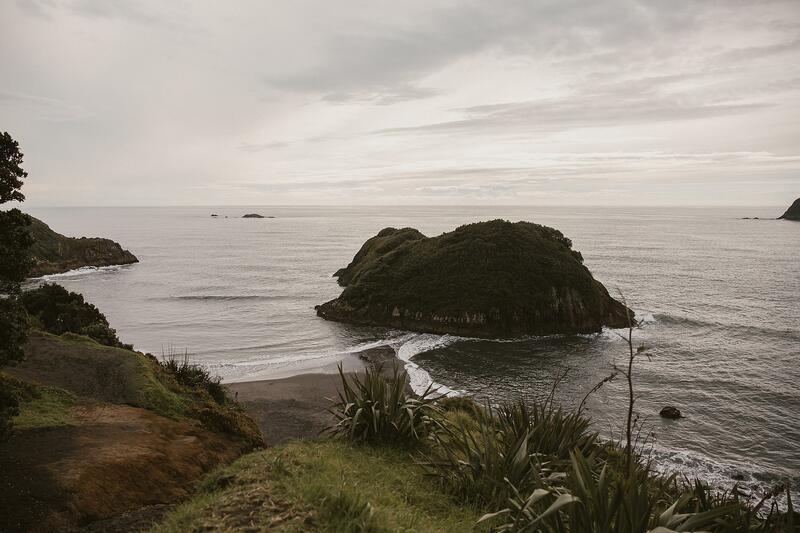 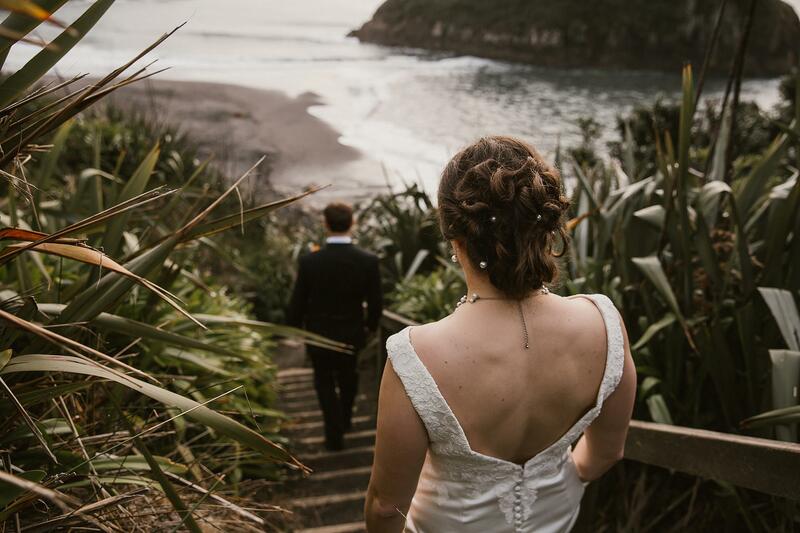 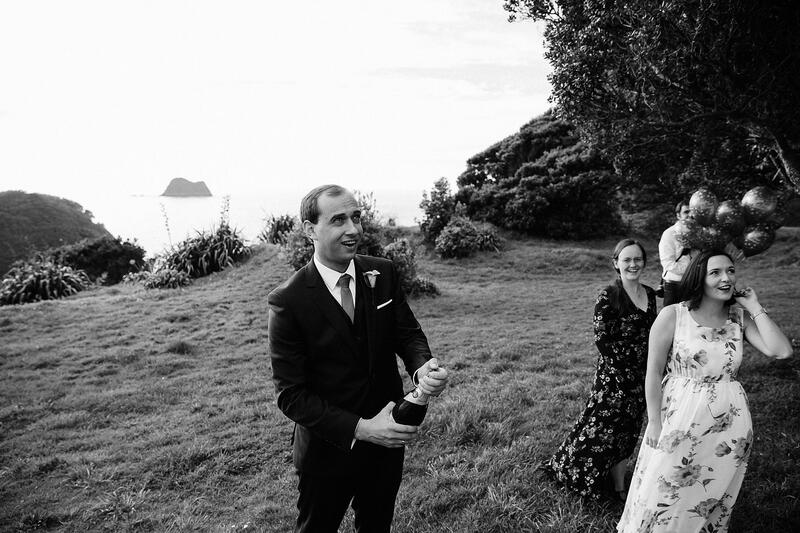 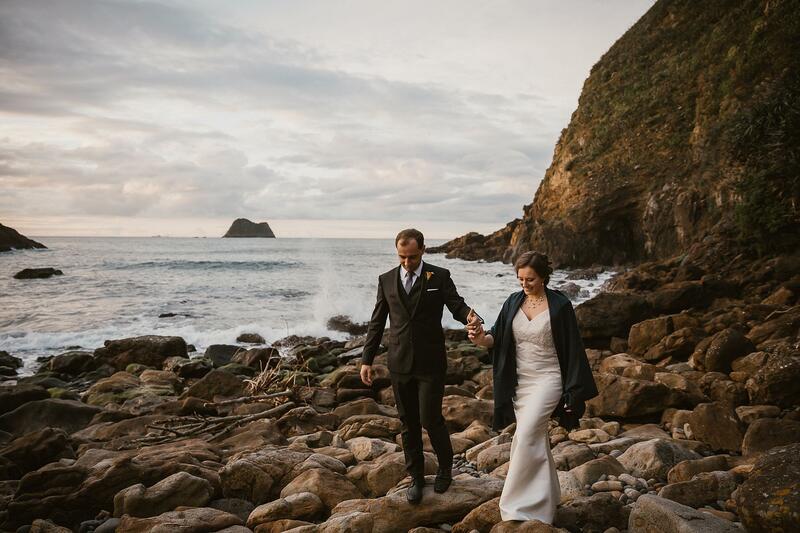 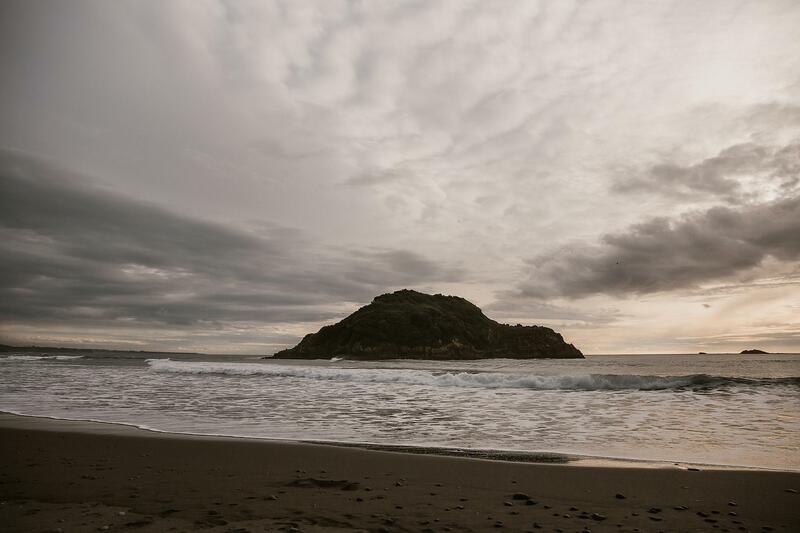 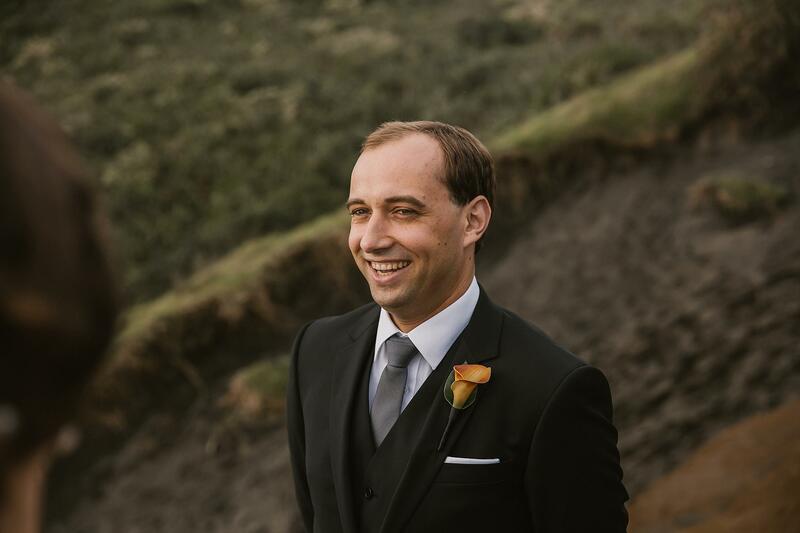 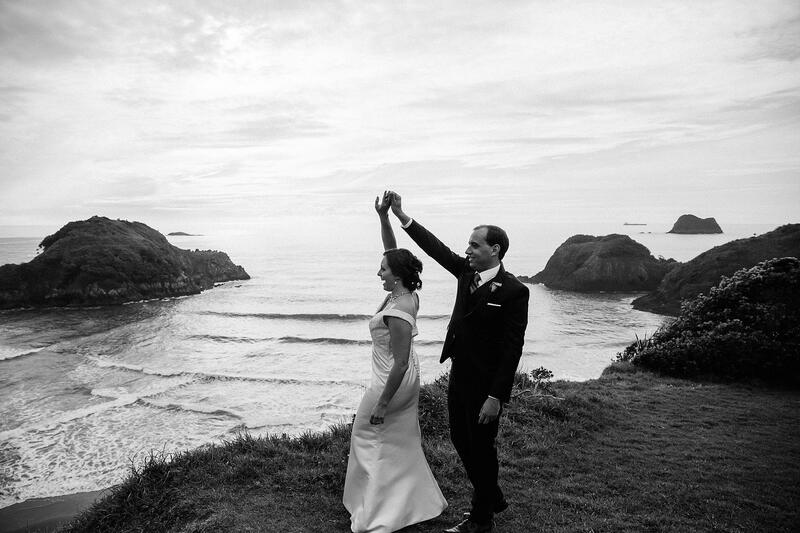 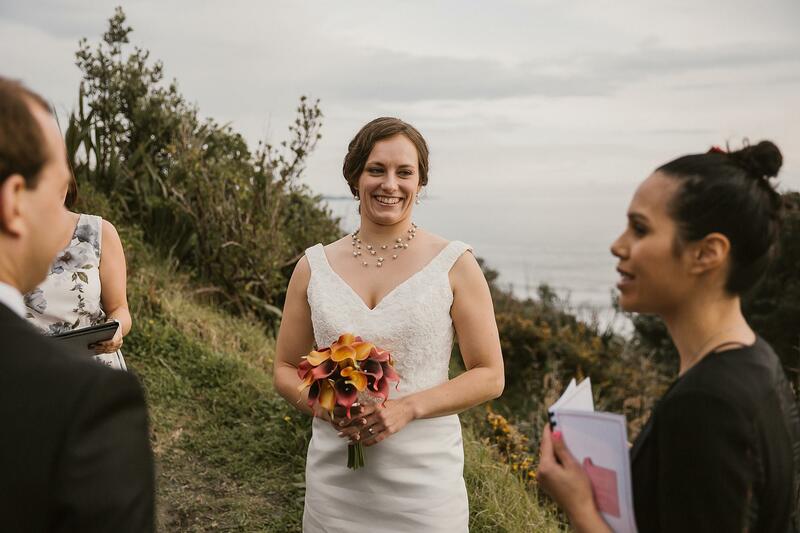 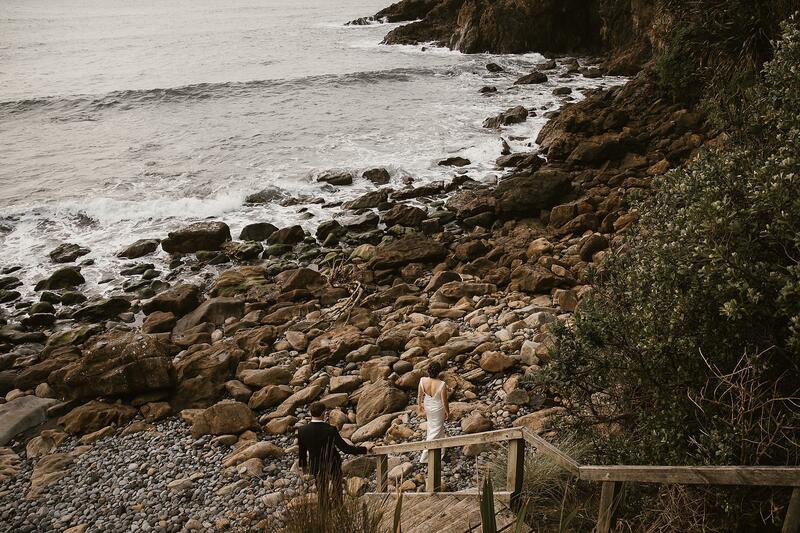 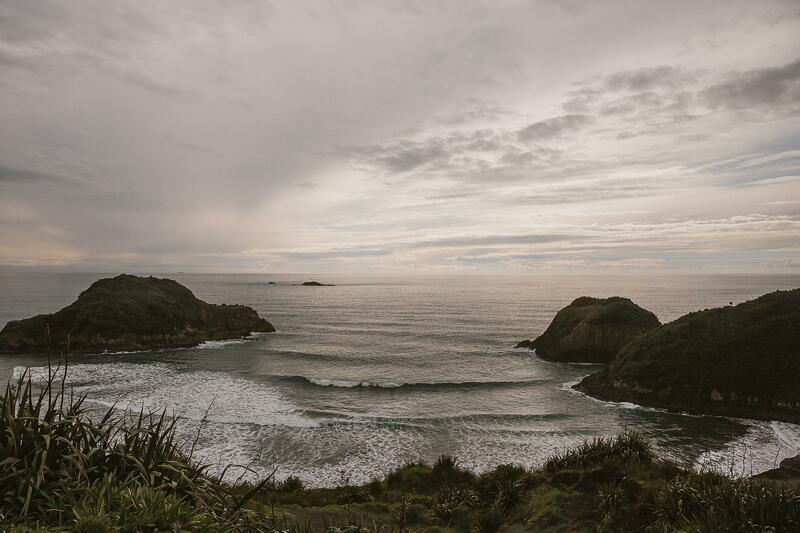 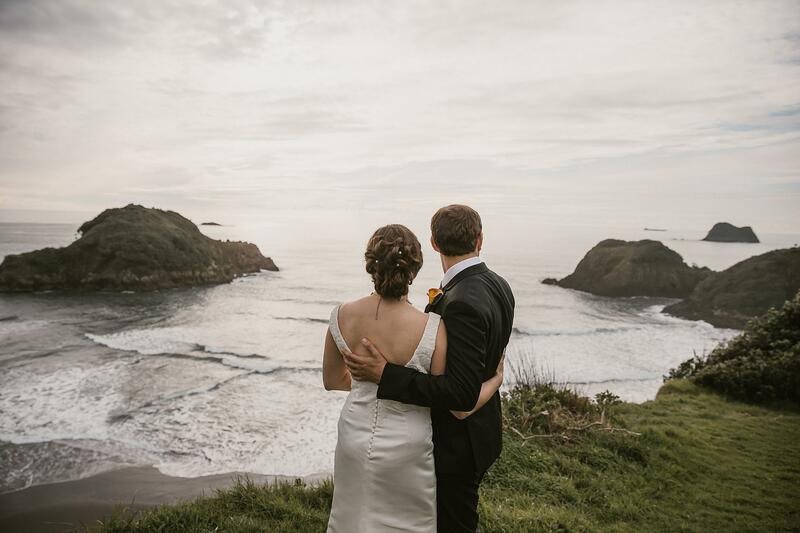 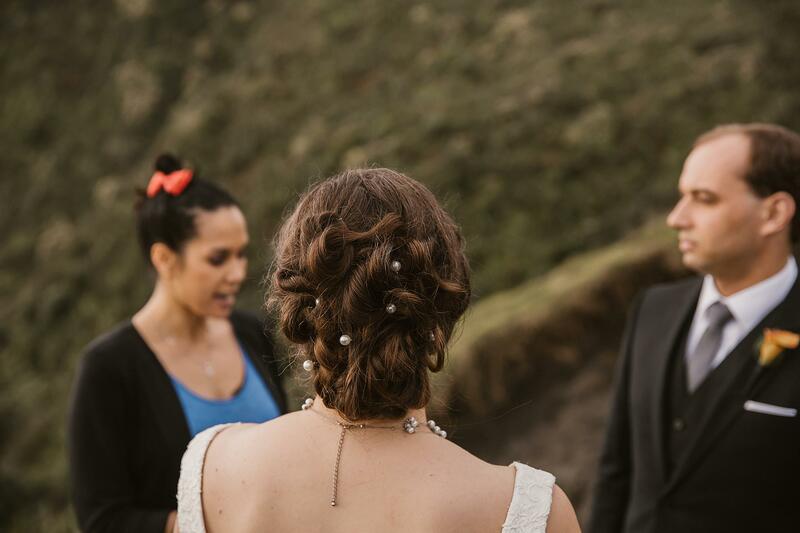 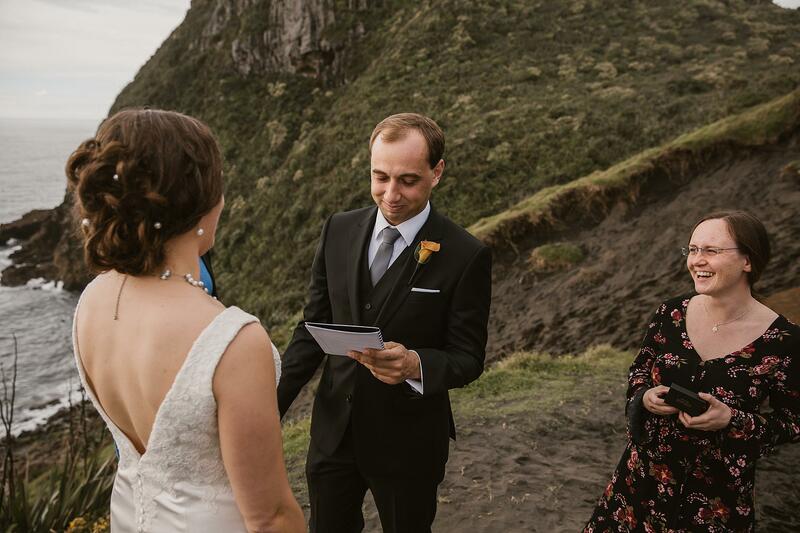 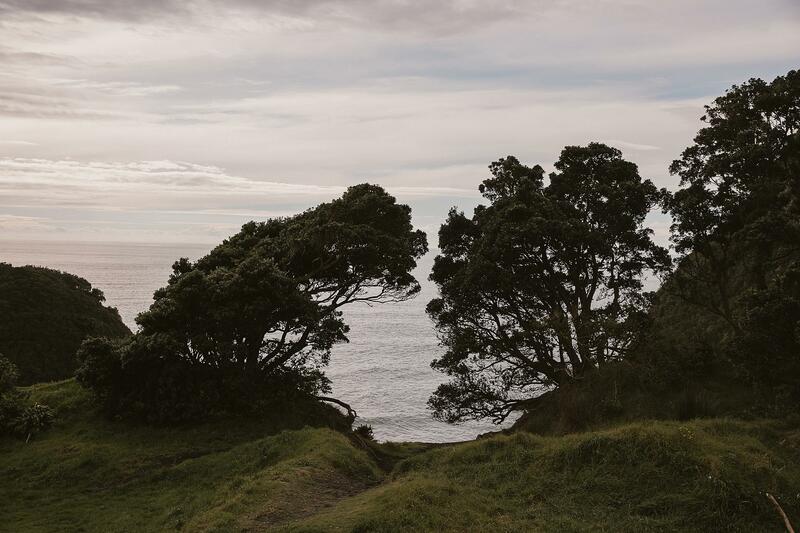 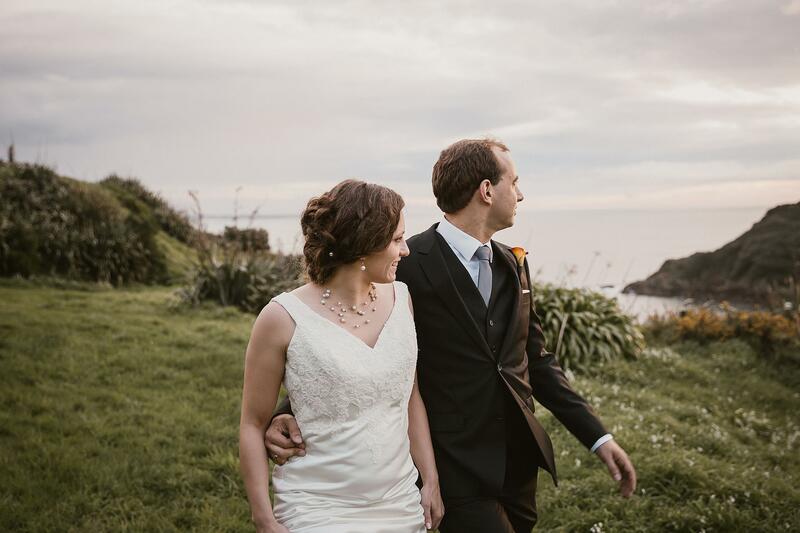 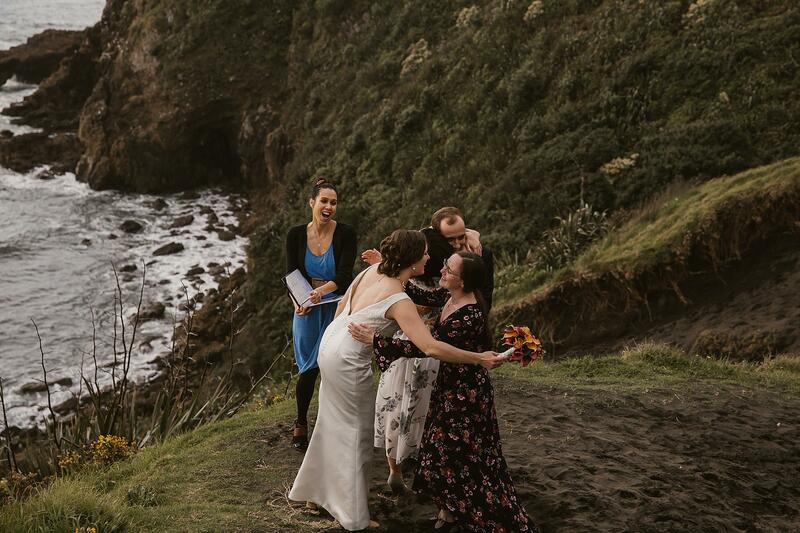 Elopement Weddings have become a real trend here in New Zealand… most popular in the South Island but for Lars and Michaela it was here in New Plymouth. 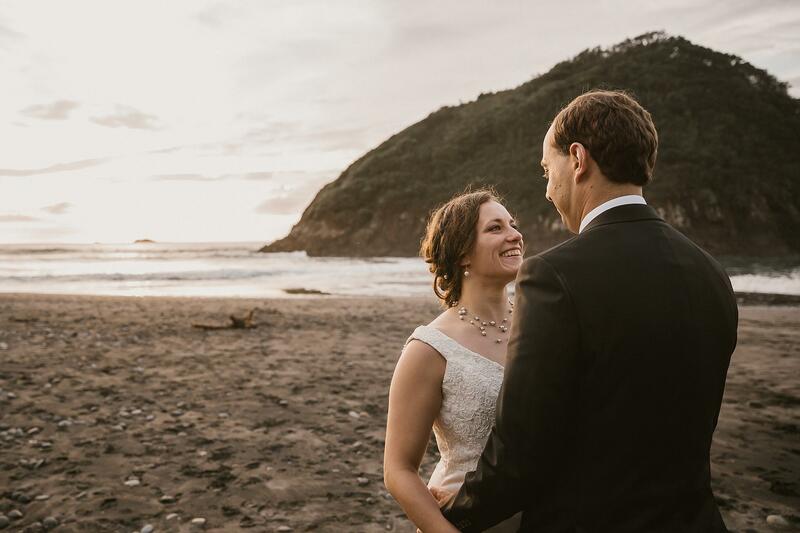 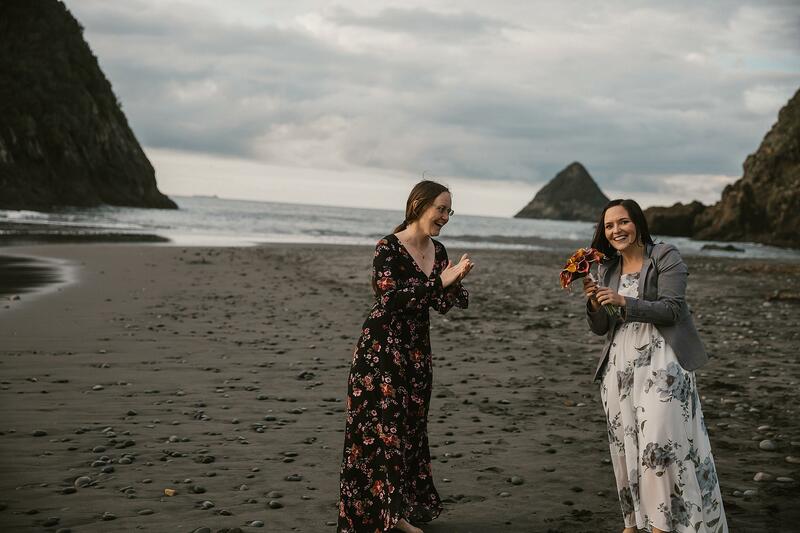 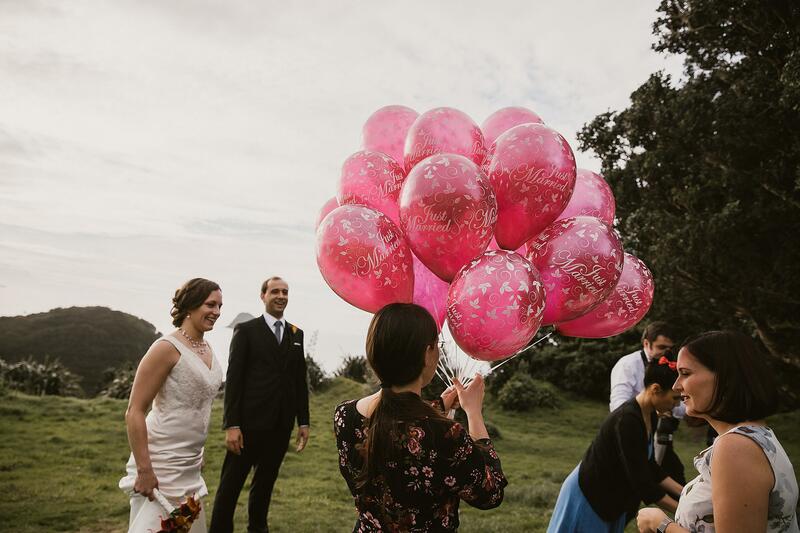 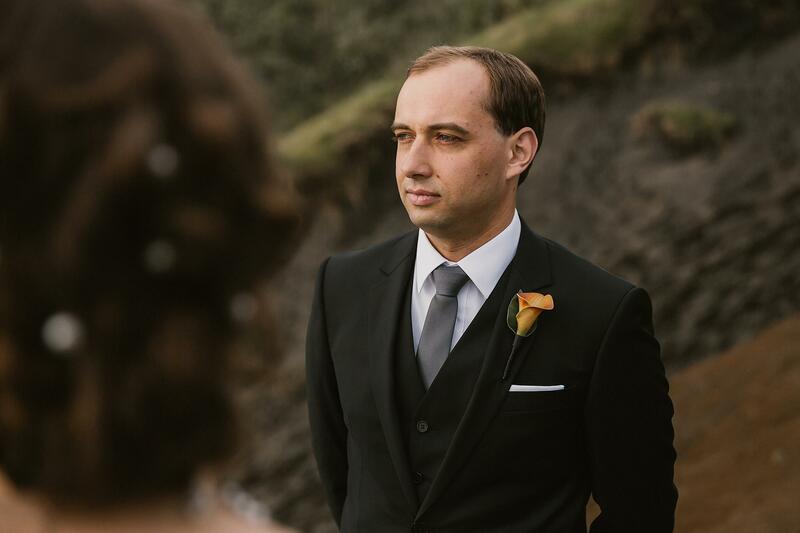 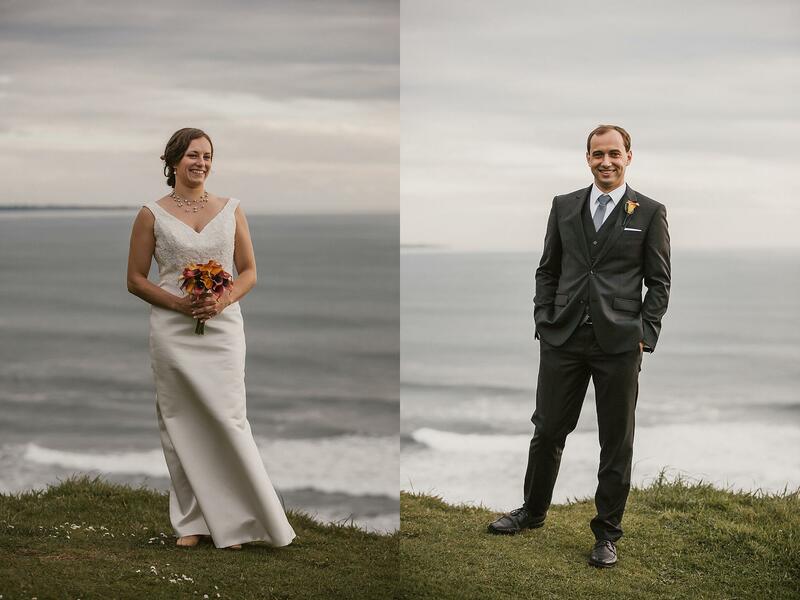 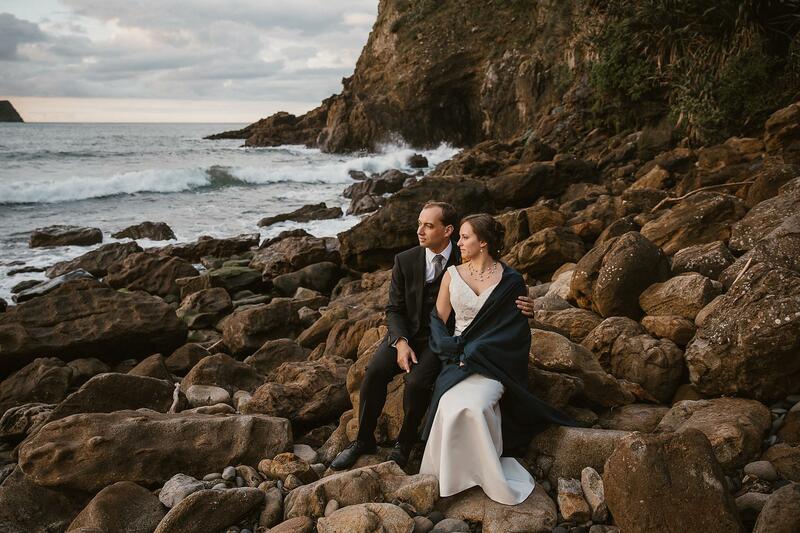 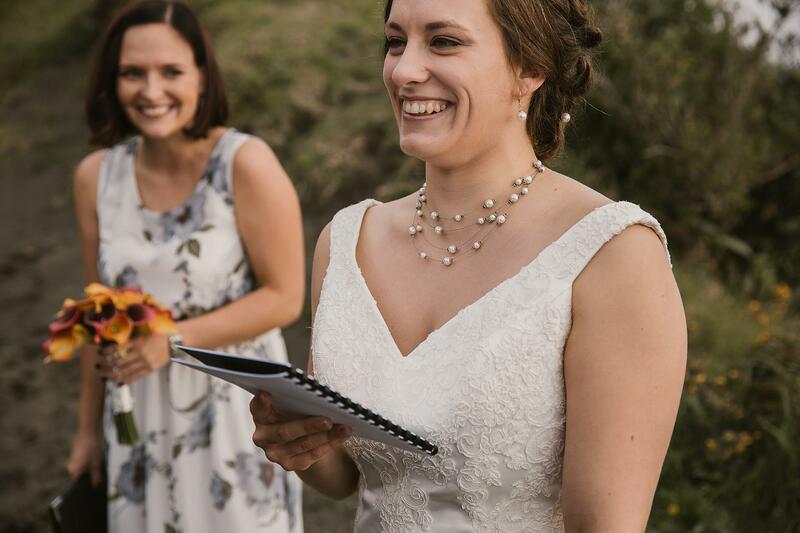 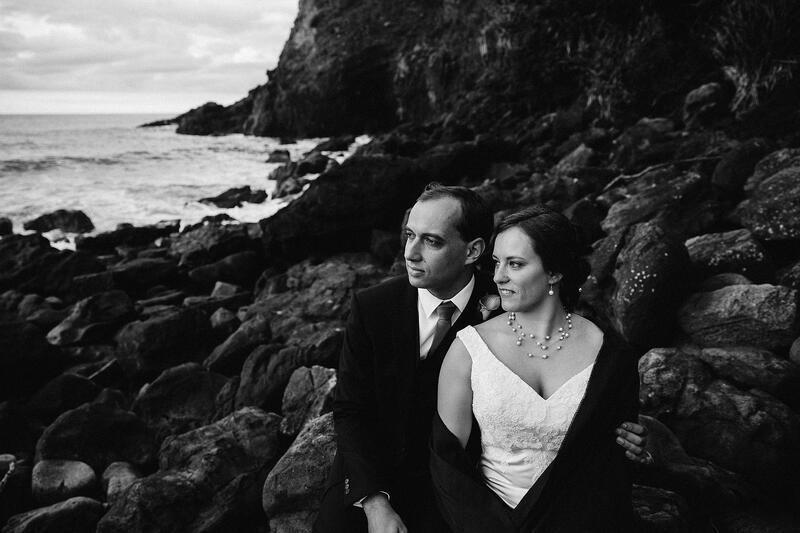 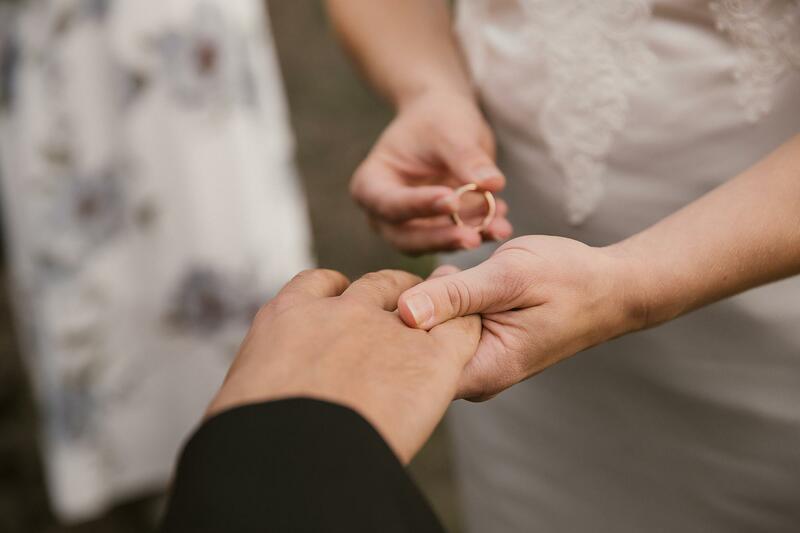 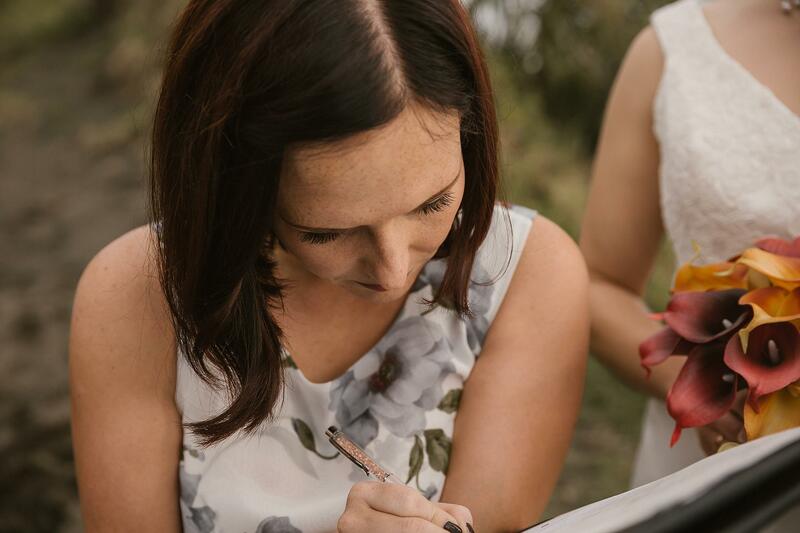 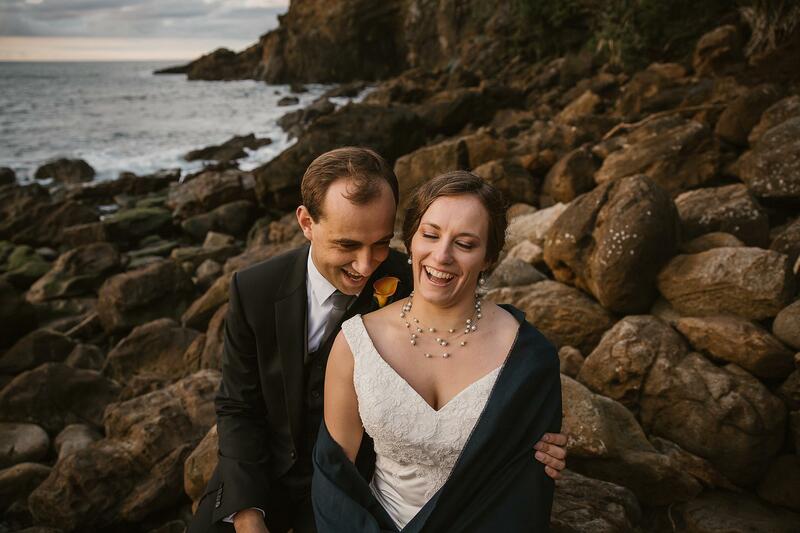 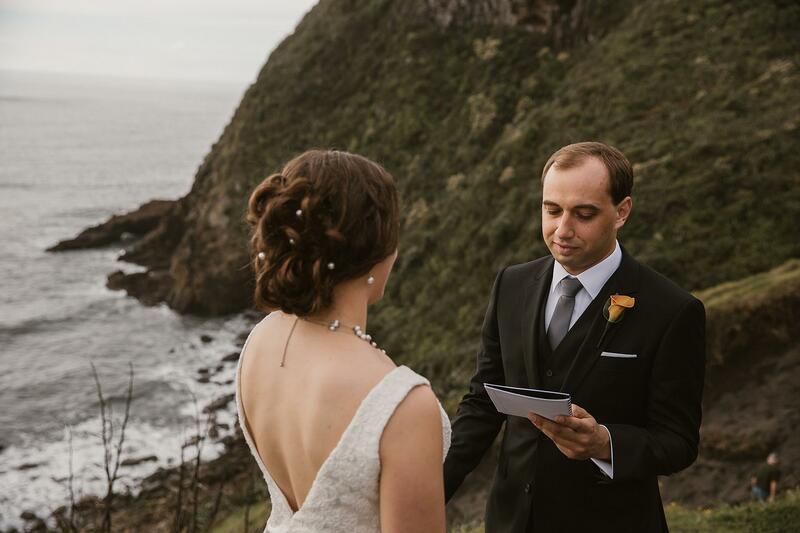 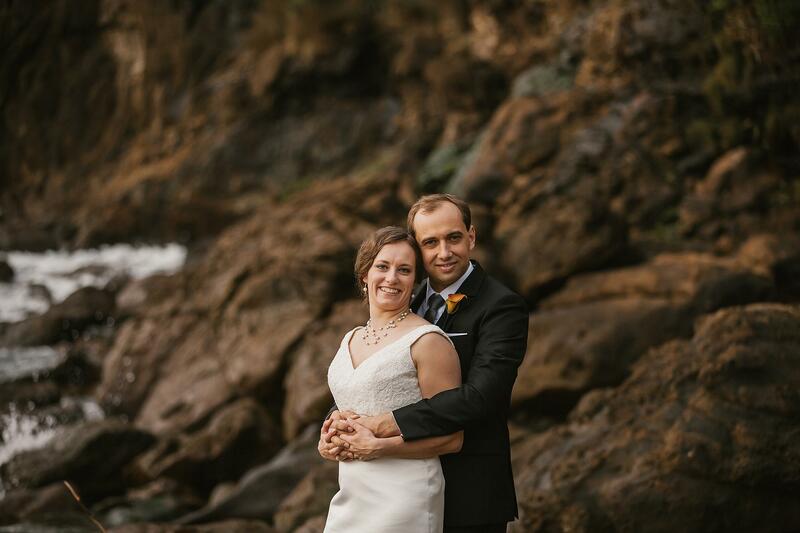 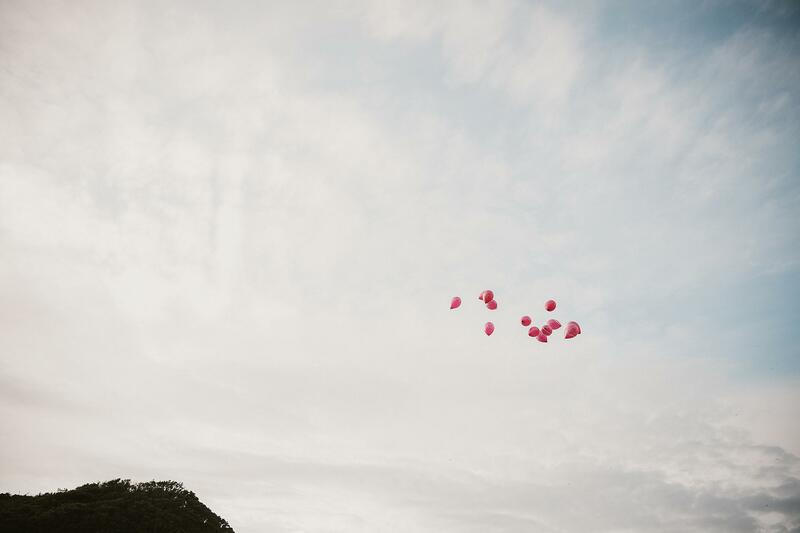 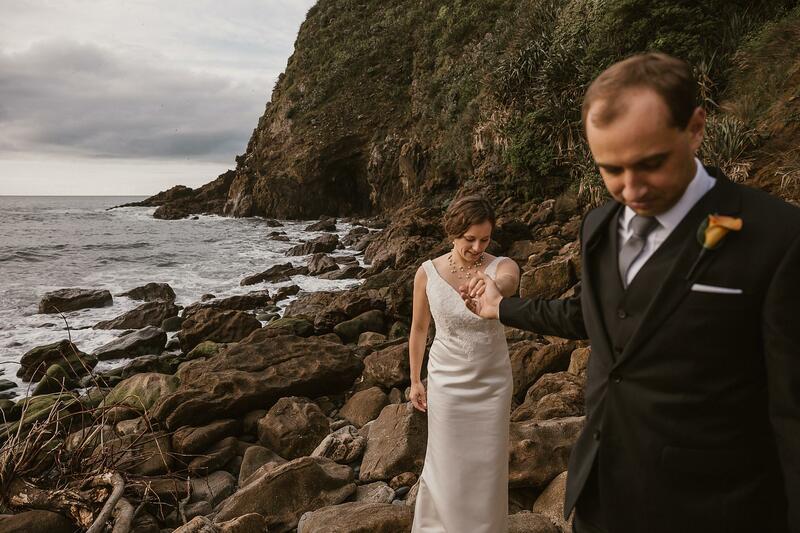 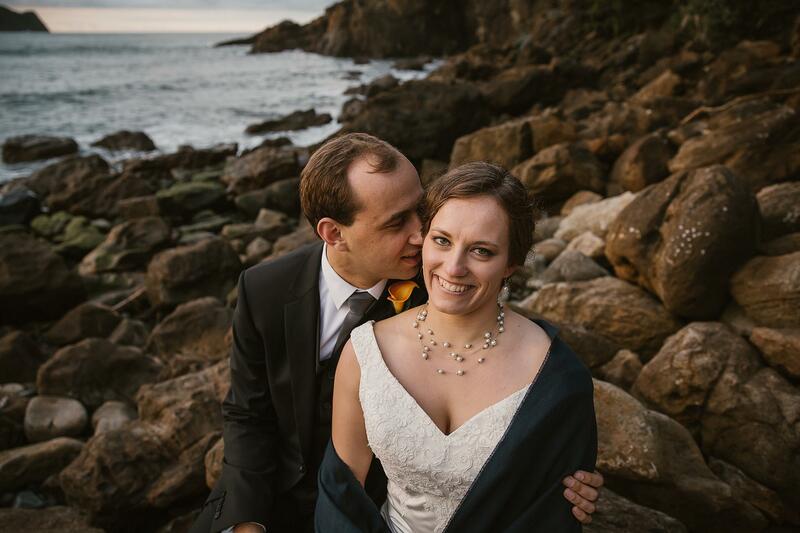 Both originally from Germany it was the perfect elopement. 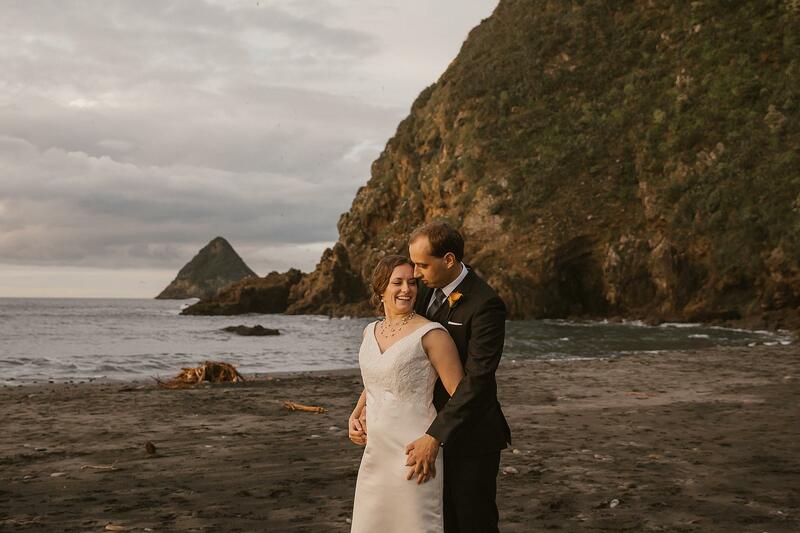 New Plymouth, a place Michaela had visited in the past, a place where she knew she would love to come again, but this time to marry. 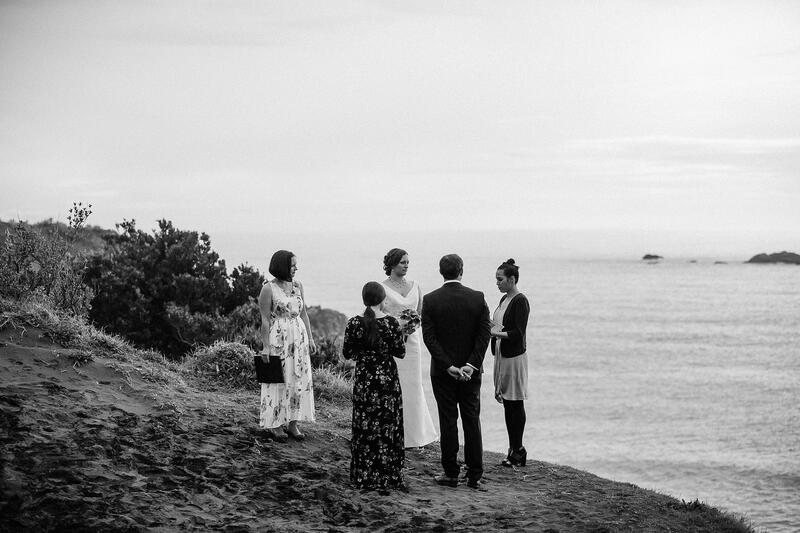 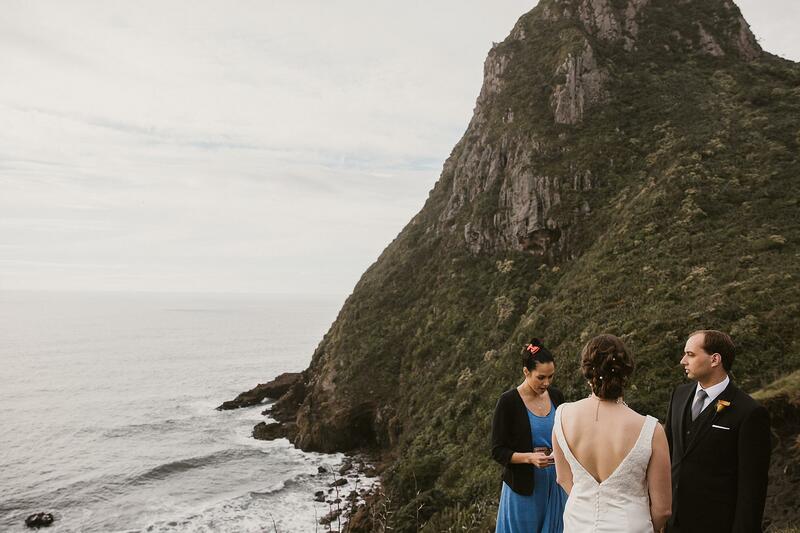 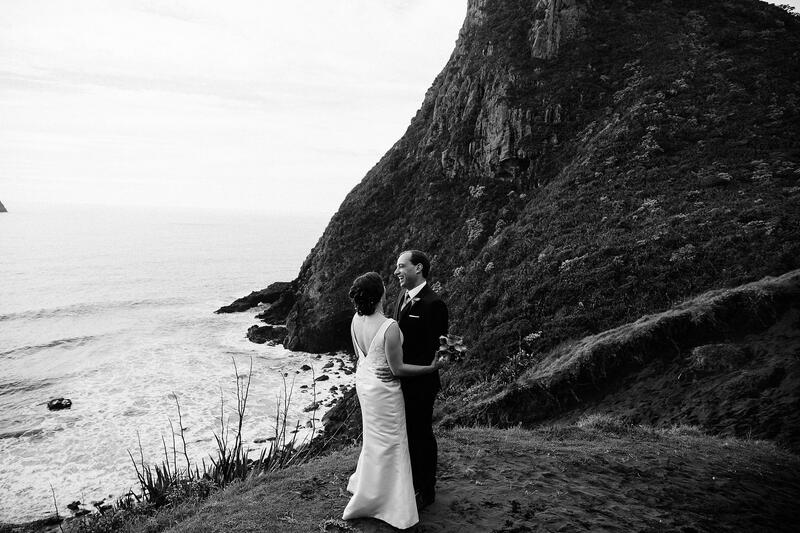 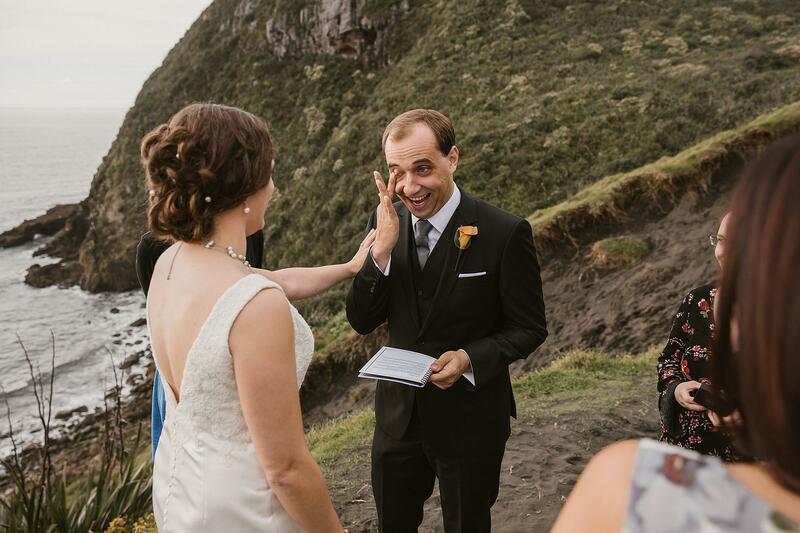 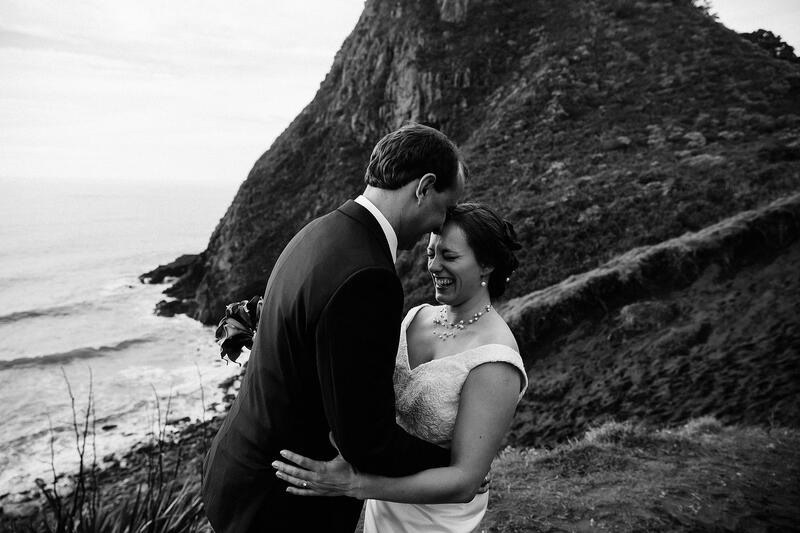 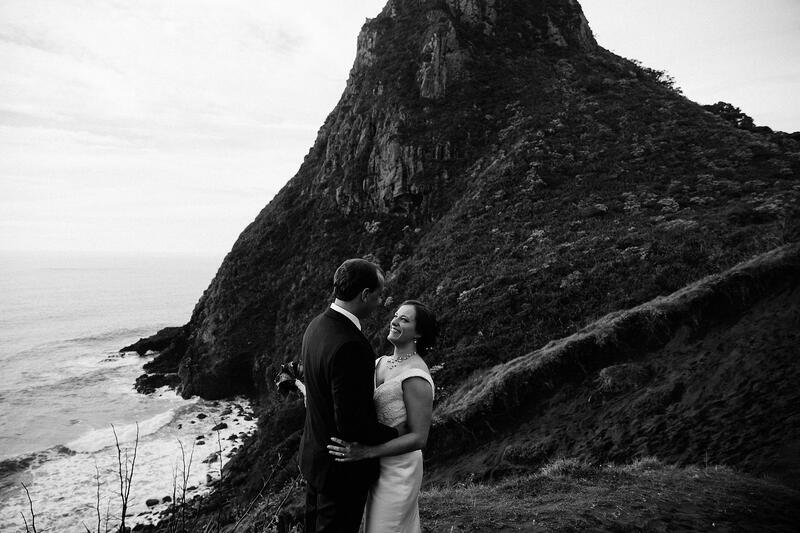 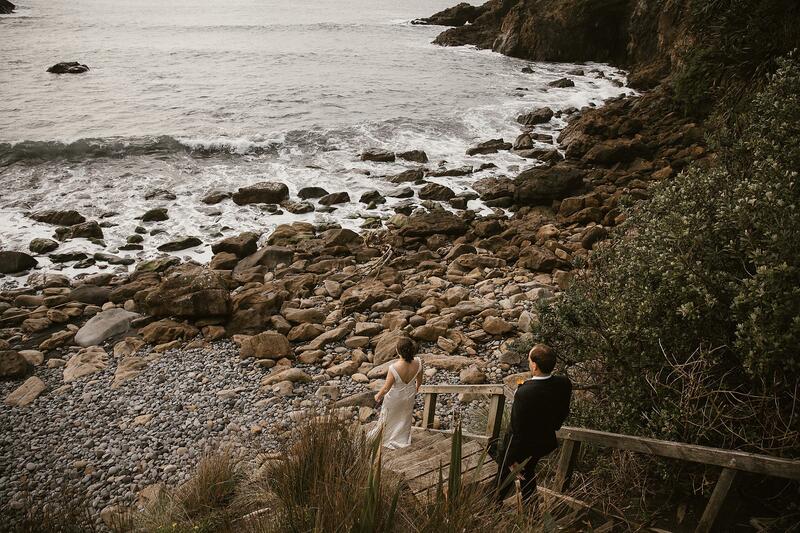 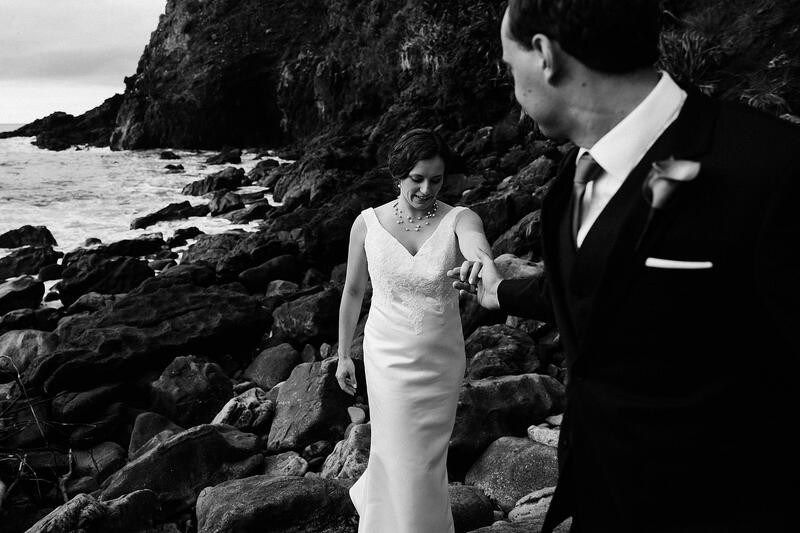 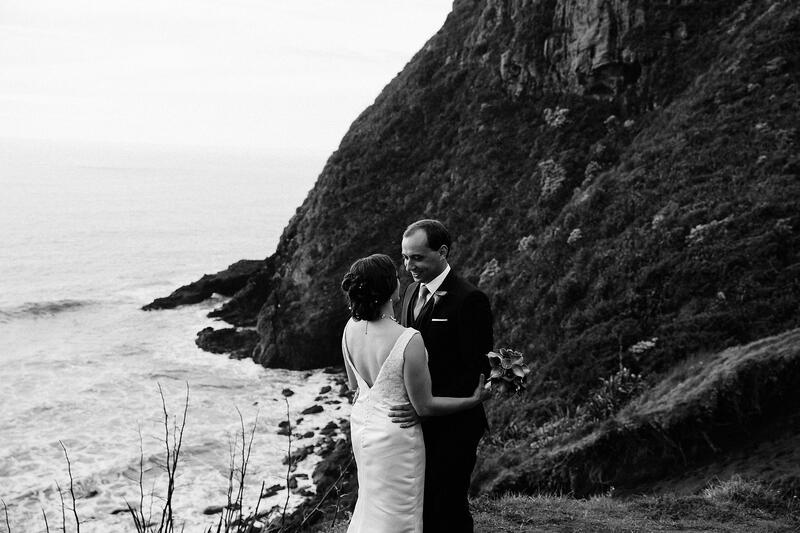 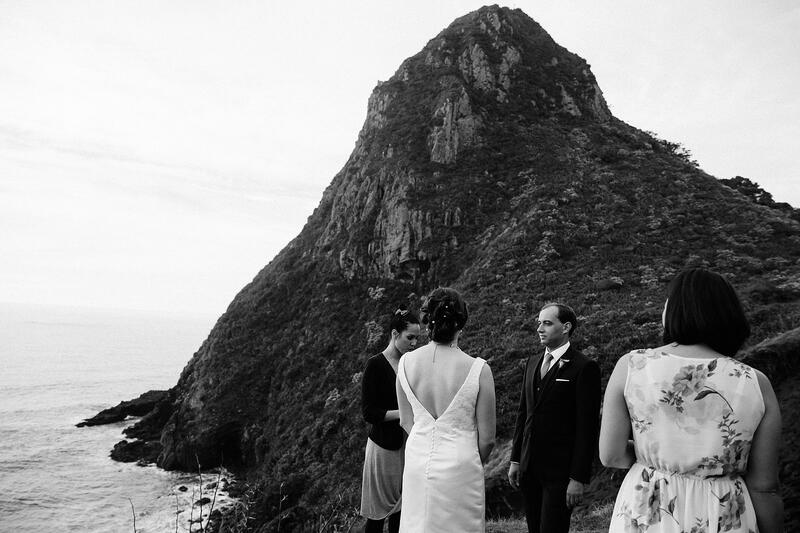 I was so fortunate to photograph their special day on the cliffs of Back Beach alongside celebrate Rose Haskell. 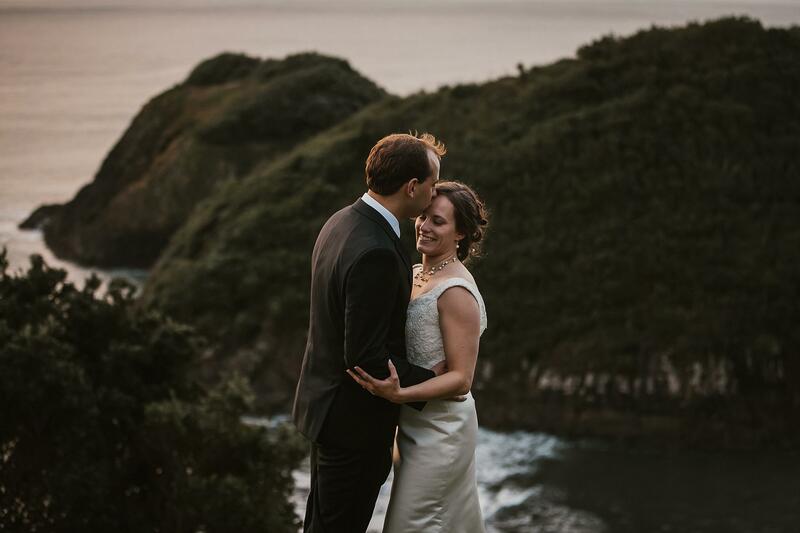 It was a typical winters day but at the right time the rain stopped and we got the most moodiest of skies and a beautiful sunset to finish. 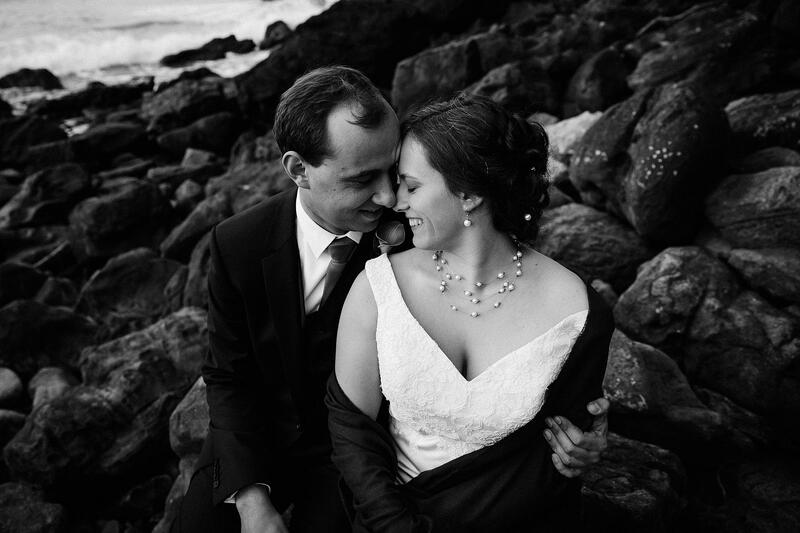 See below their slideshow of highlight images from their special day. 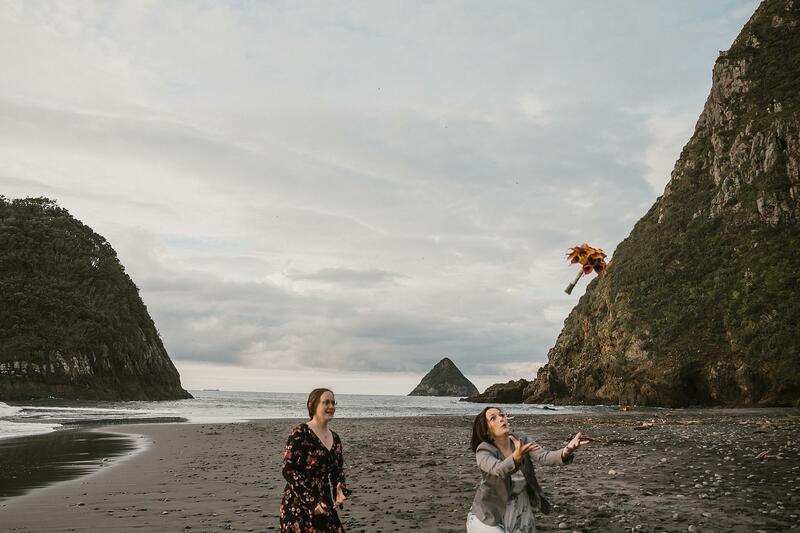 Make sure you press HD to view it at its best.